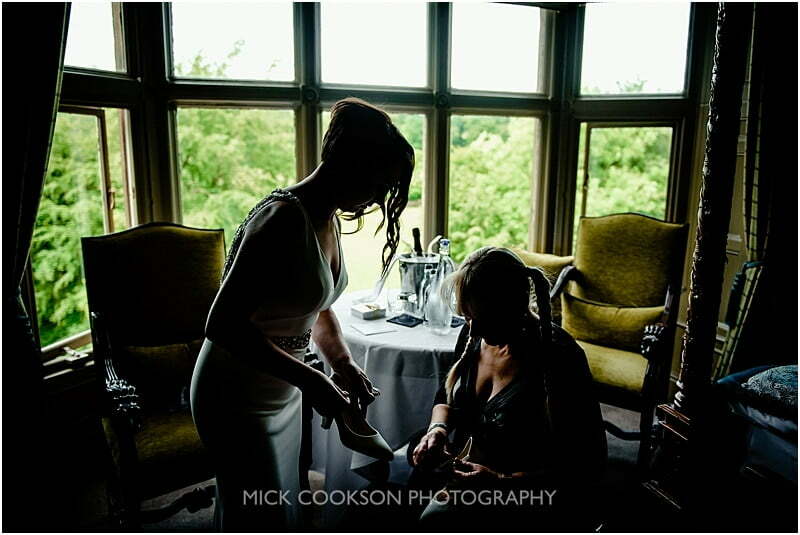 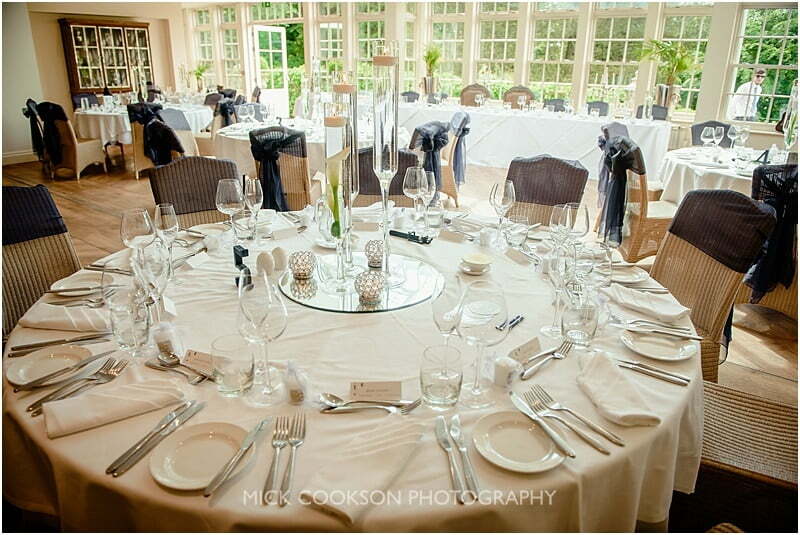 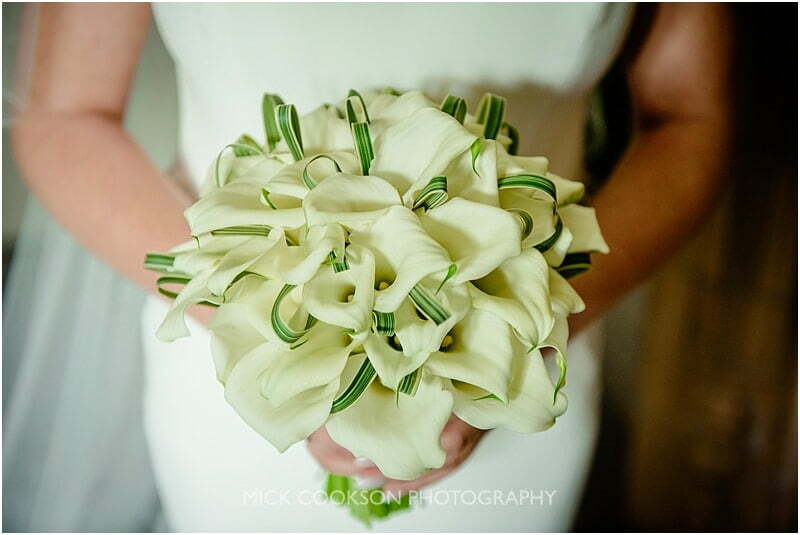 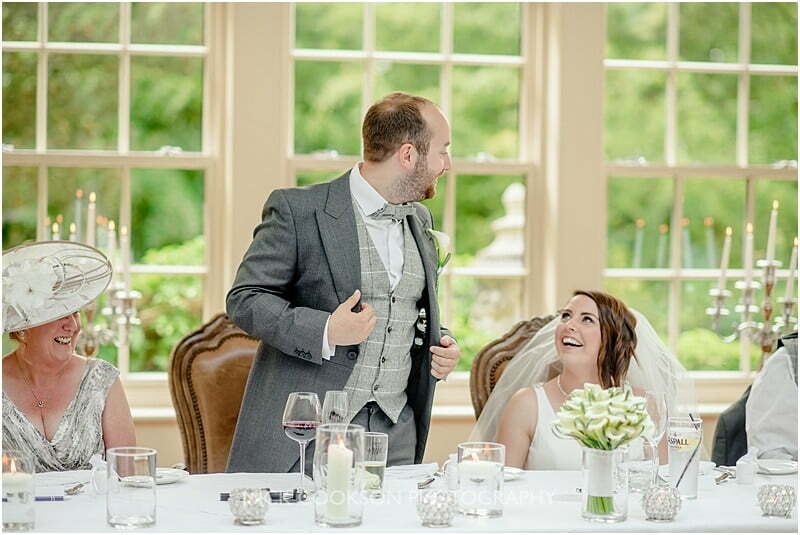 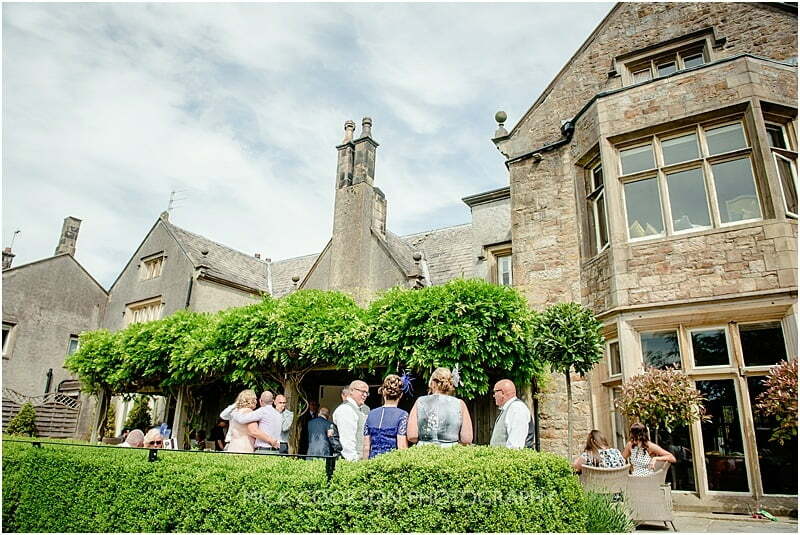 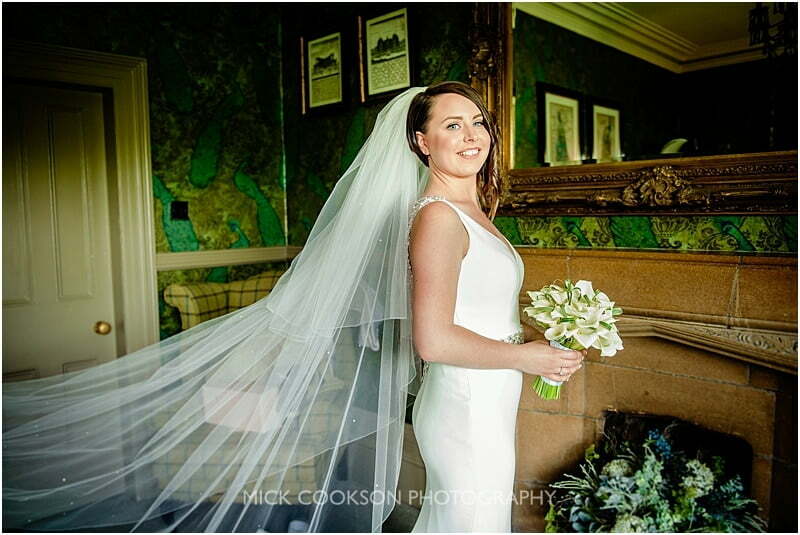 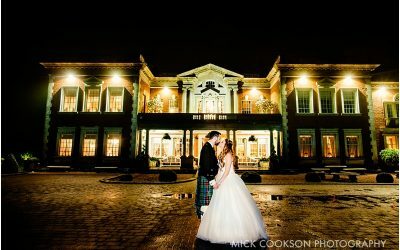 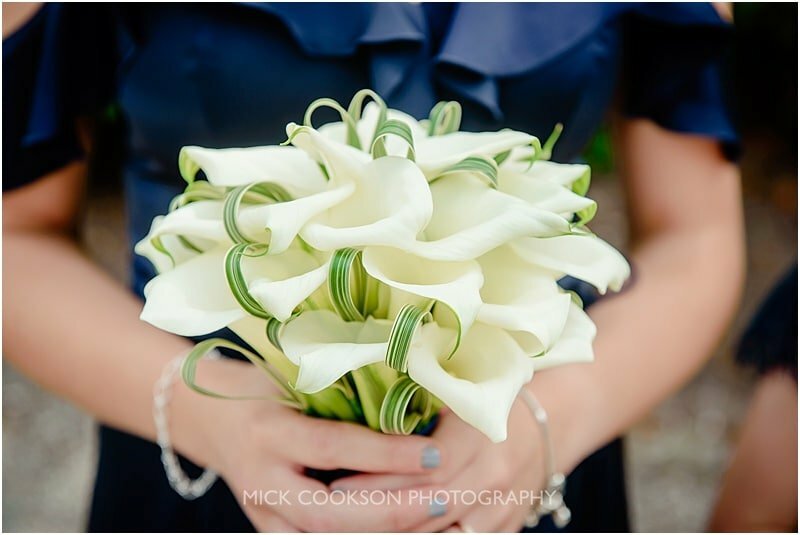 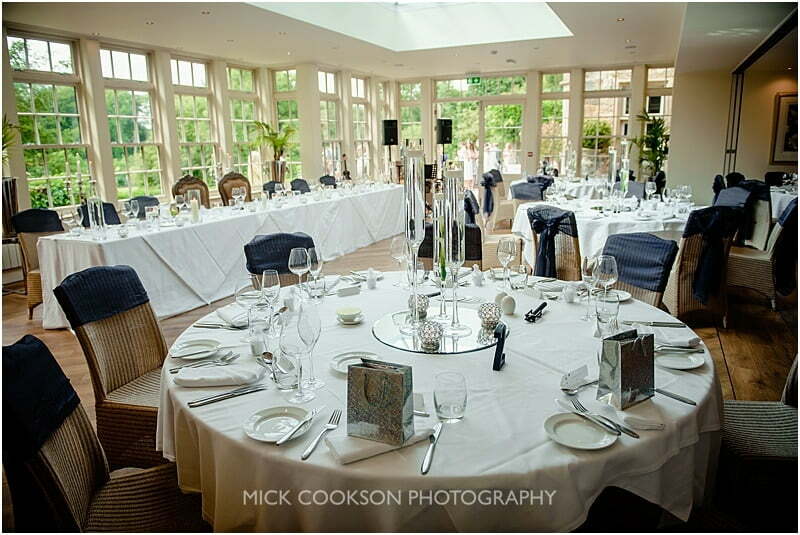 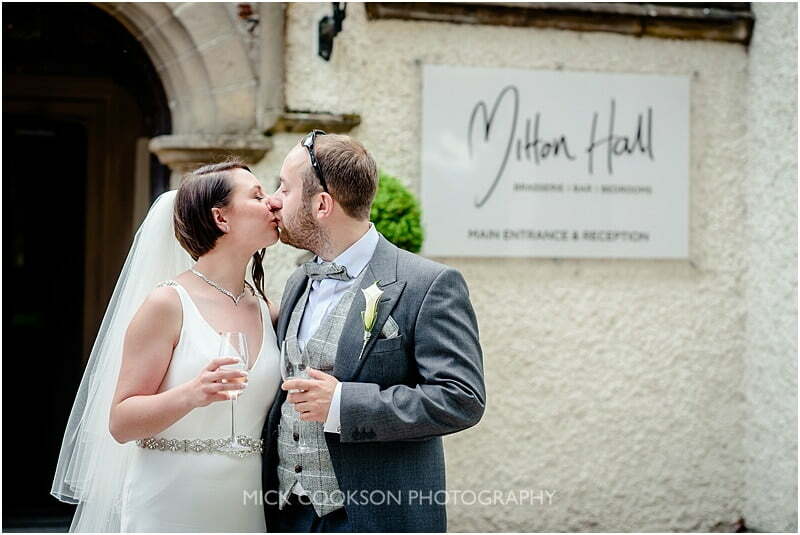 Mitton Hall is a stunning Wedding Venue, and also very popular one. 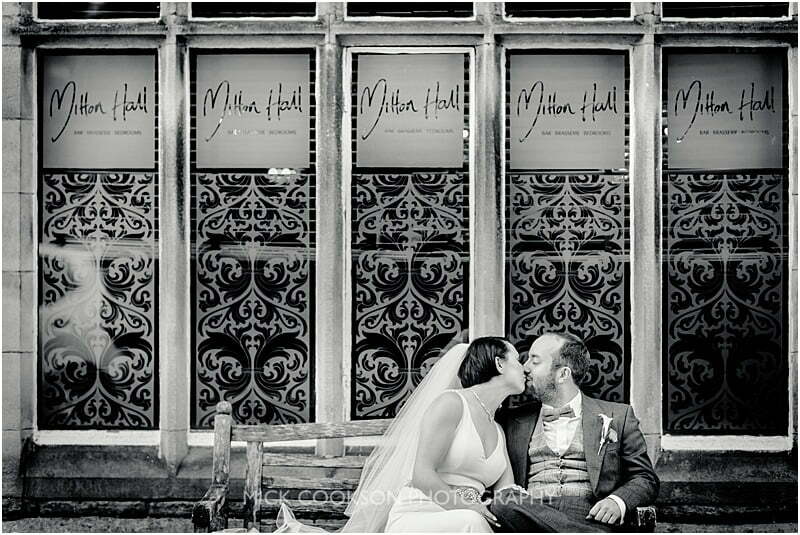 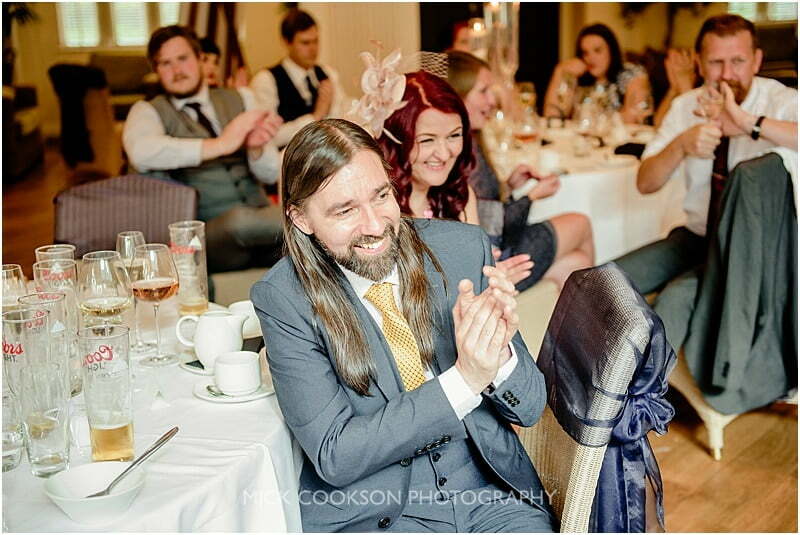 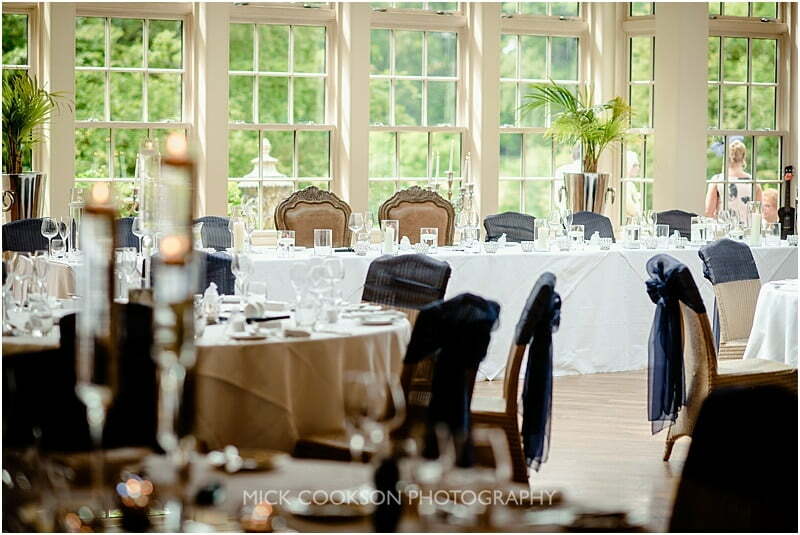 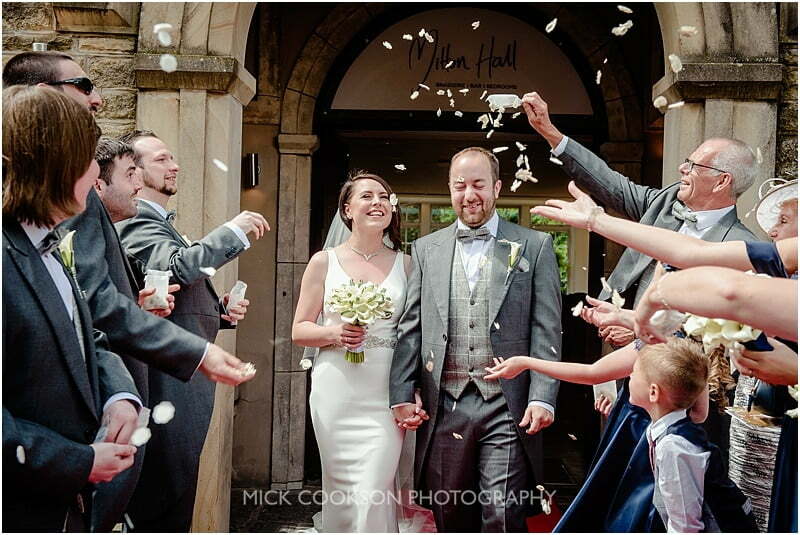 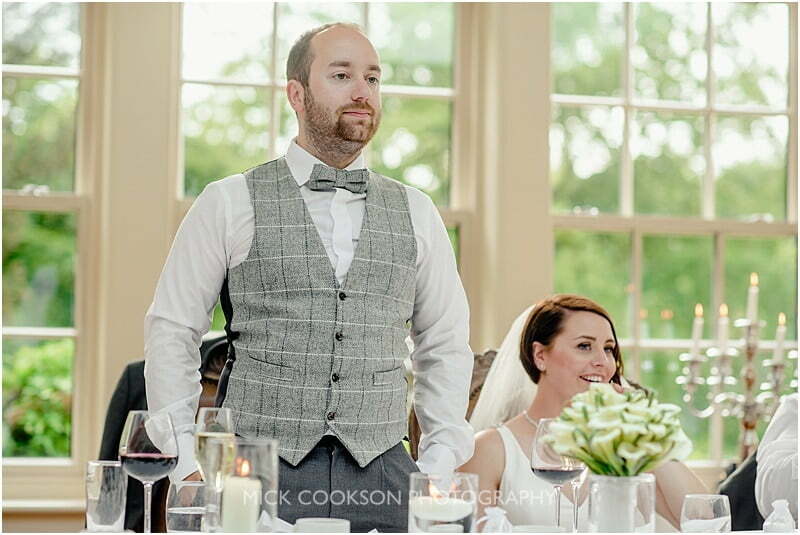 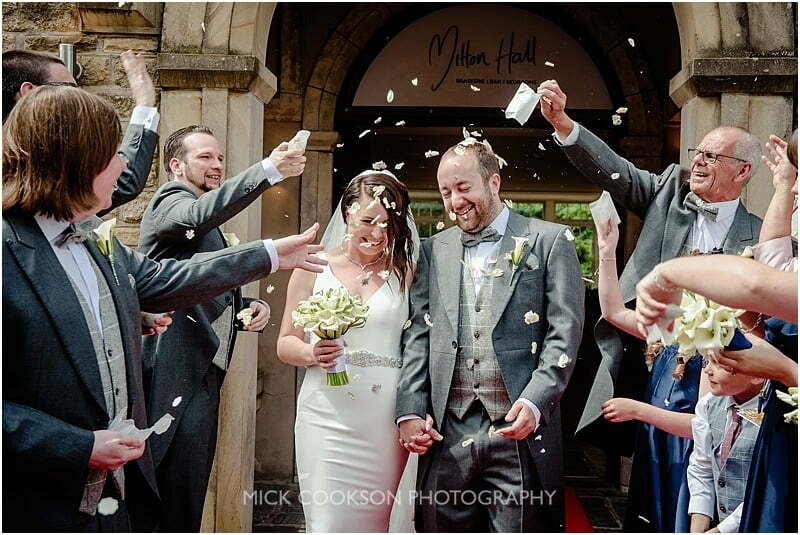 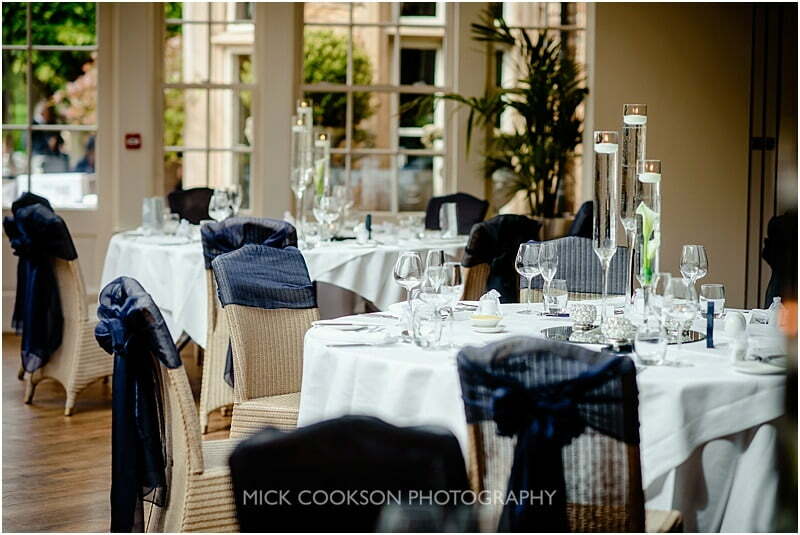 Owned by James’ Places, Mitton Hall is one of a portfolio of wedding venues the company own. 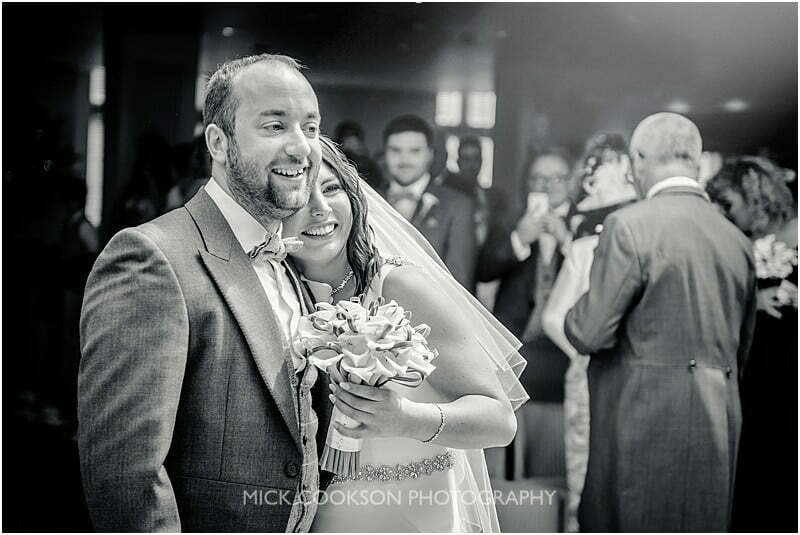 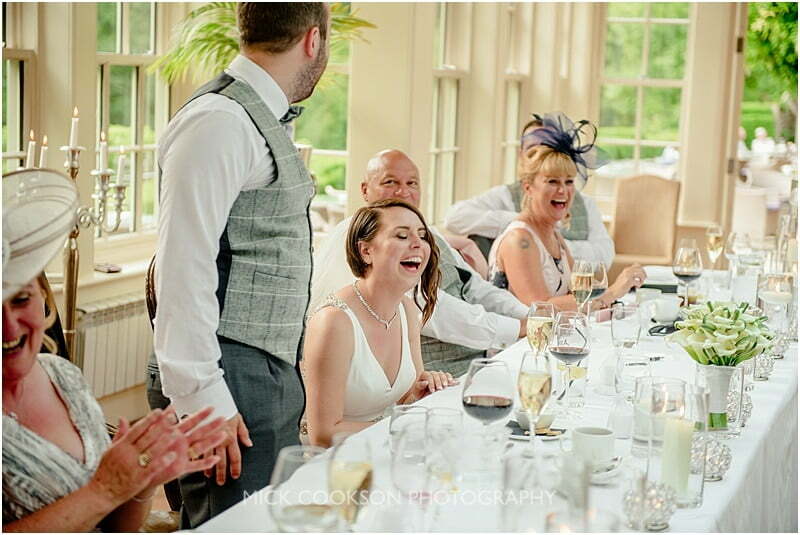 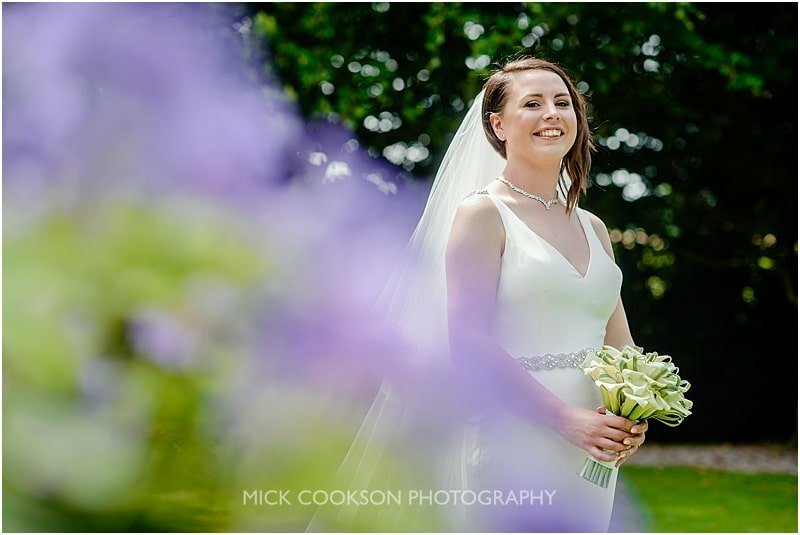 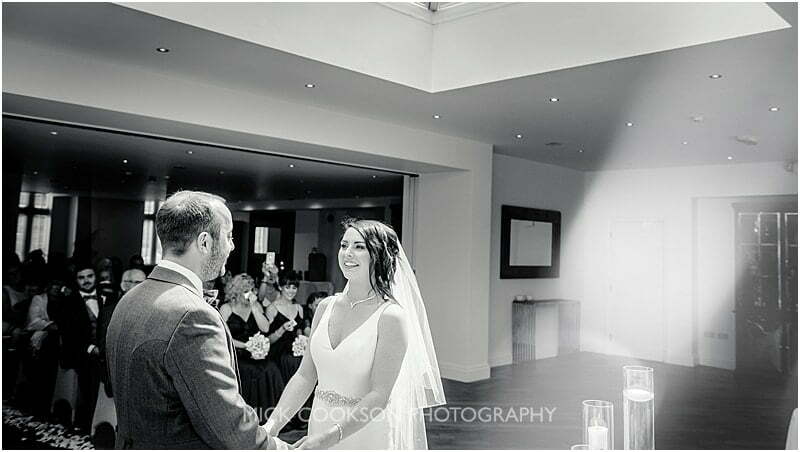 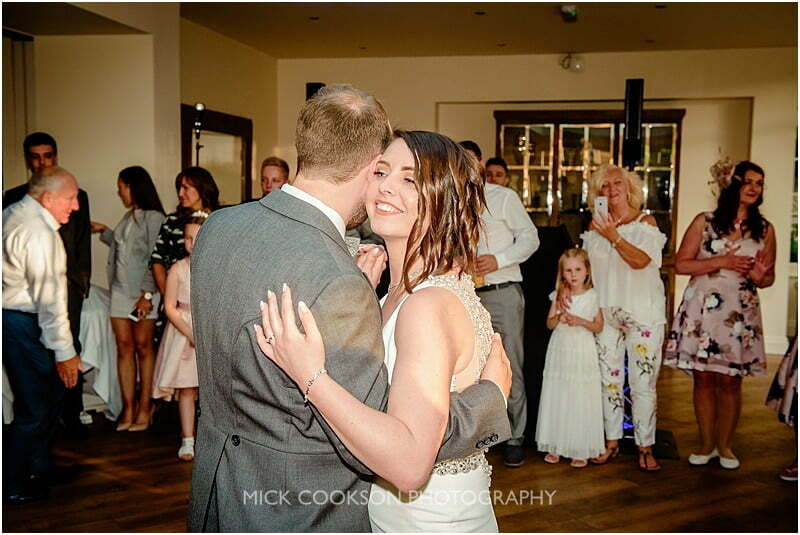 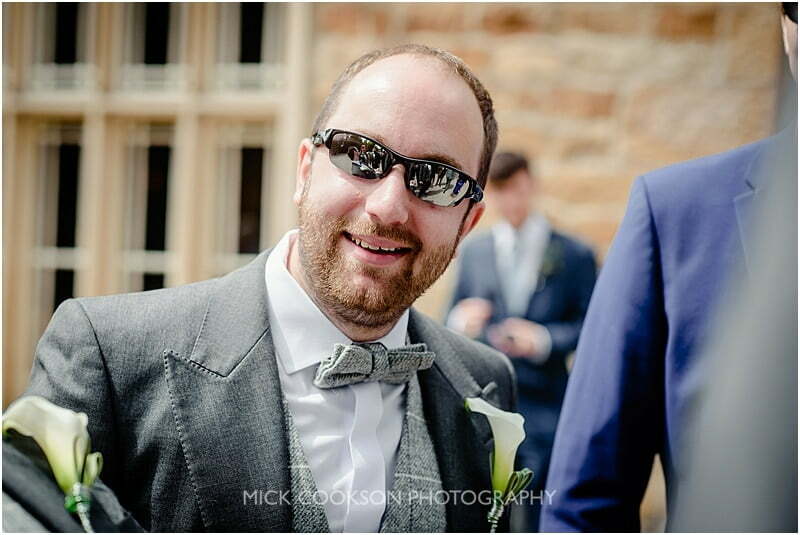 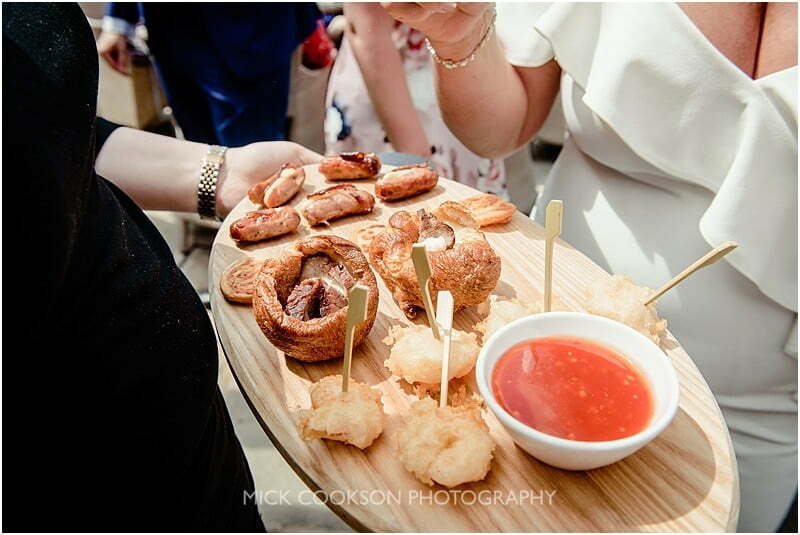 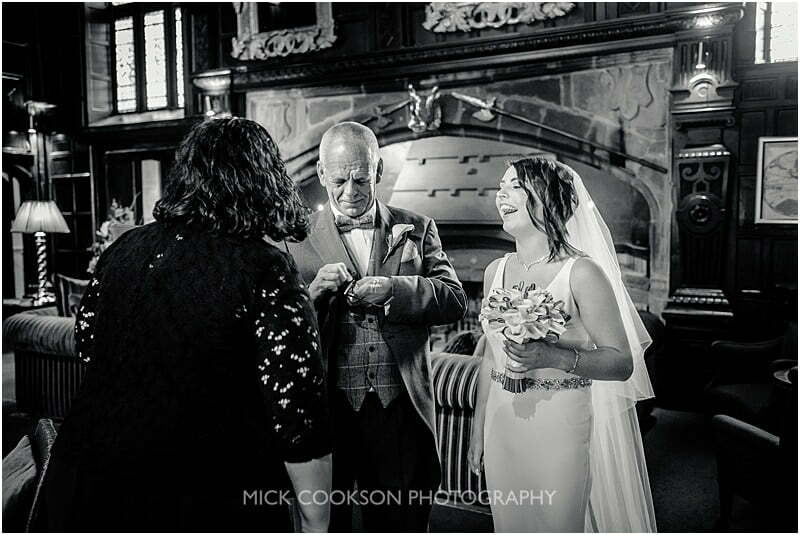 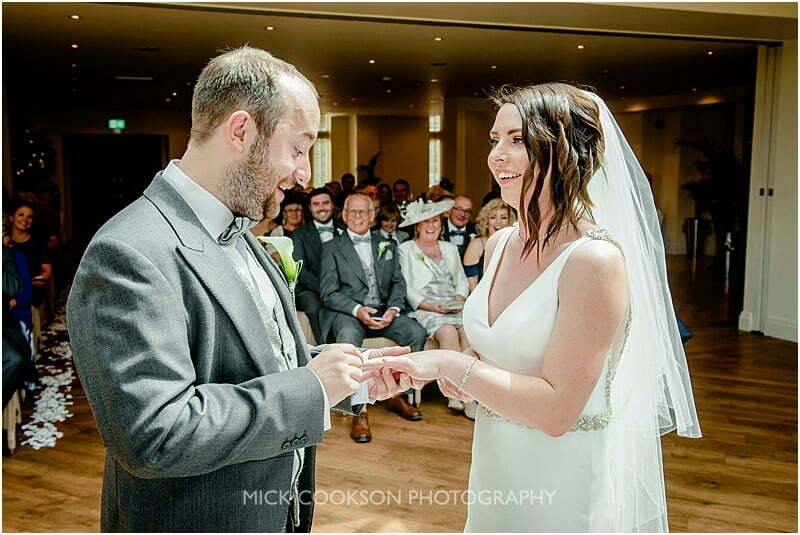 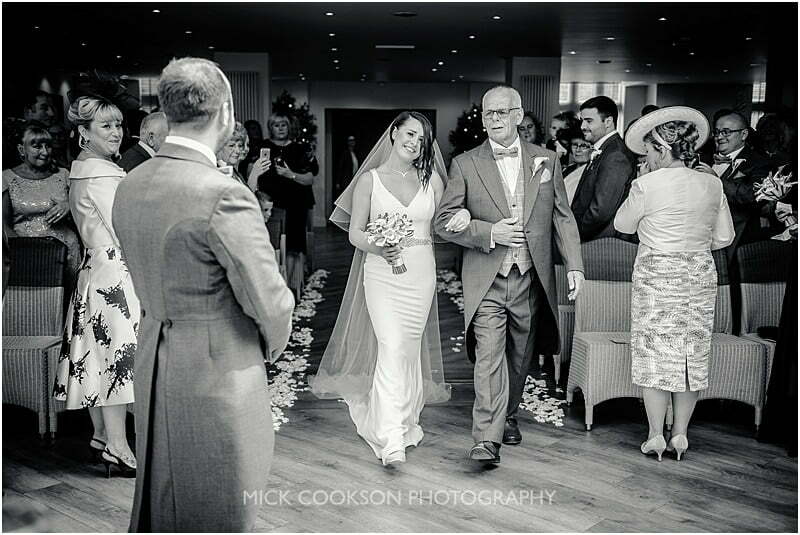 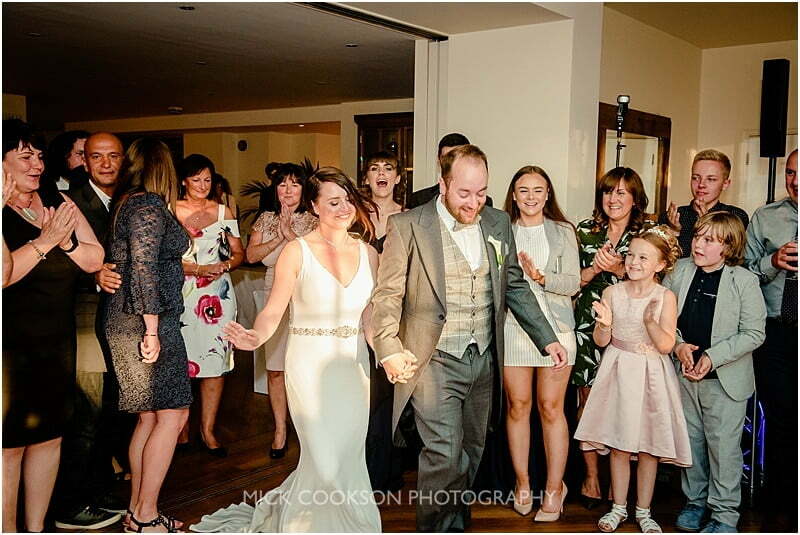 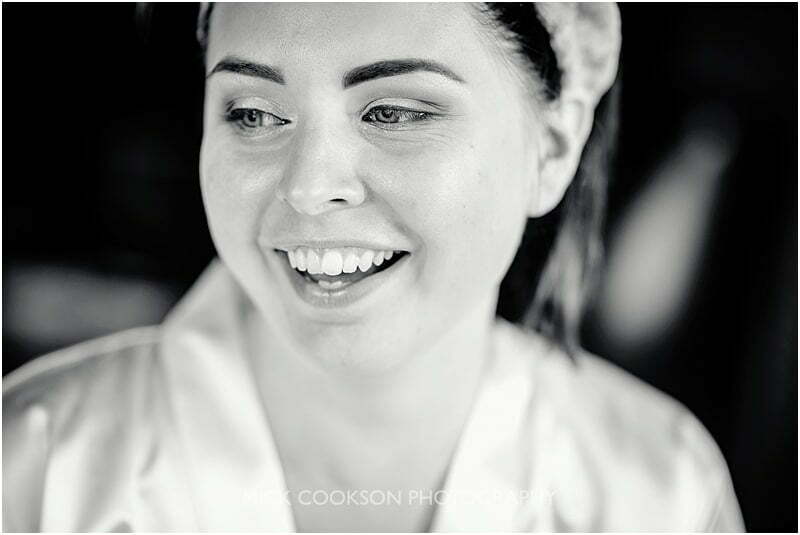 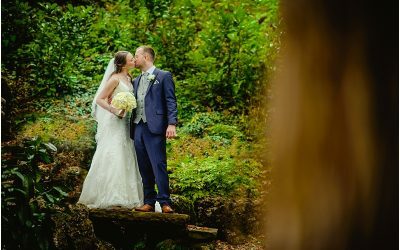 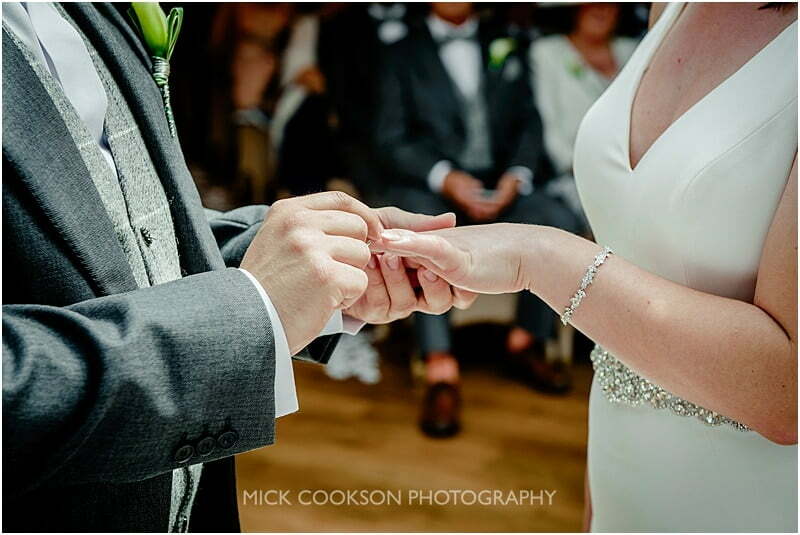 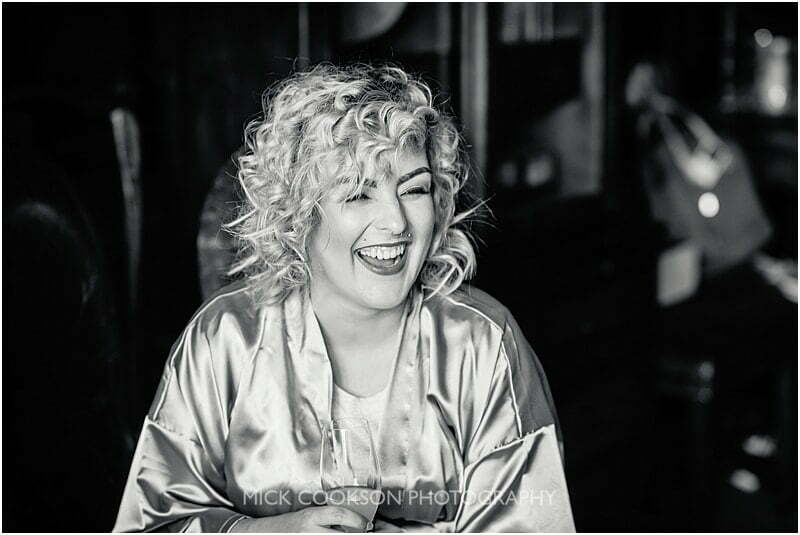 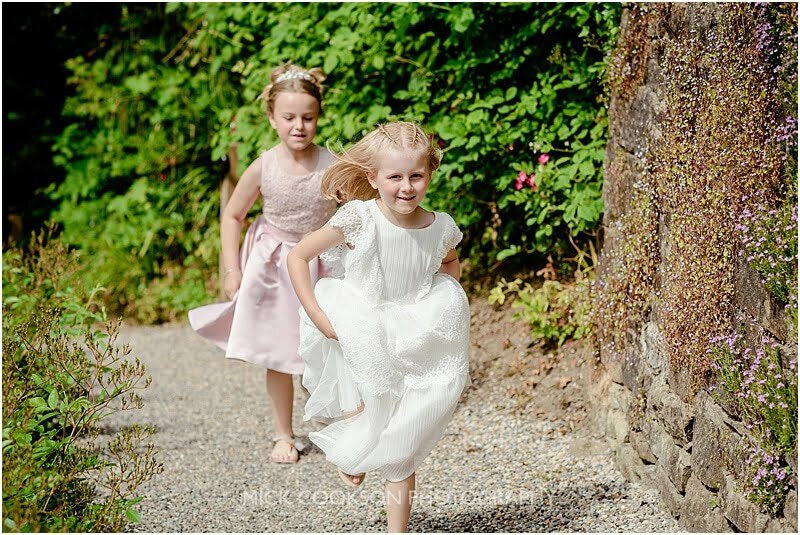 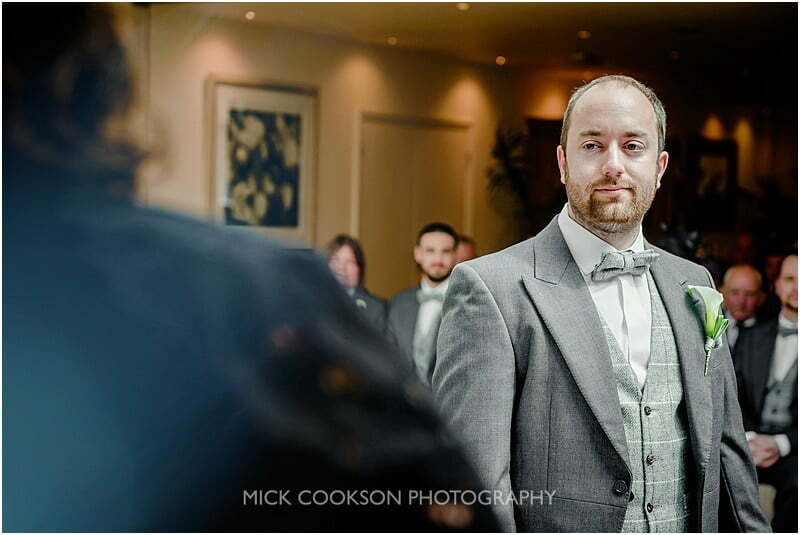 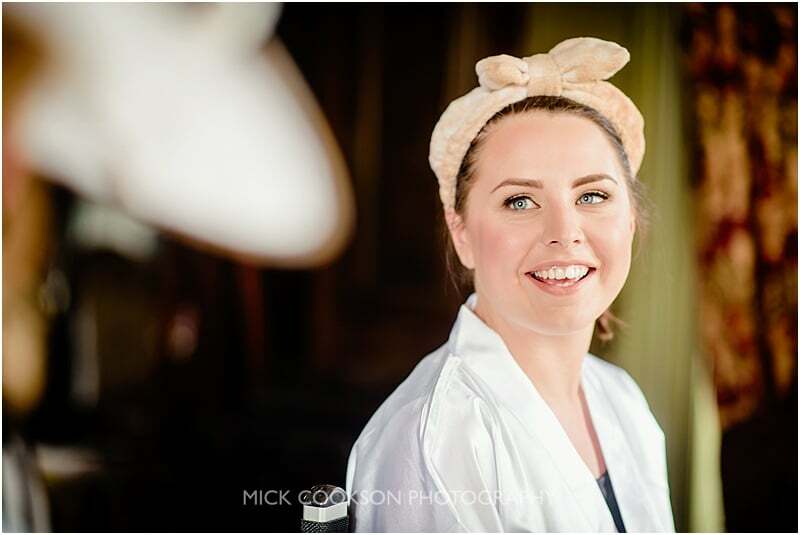 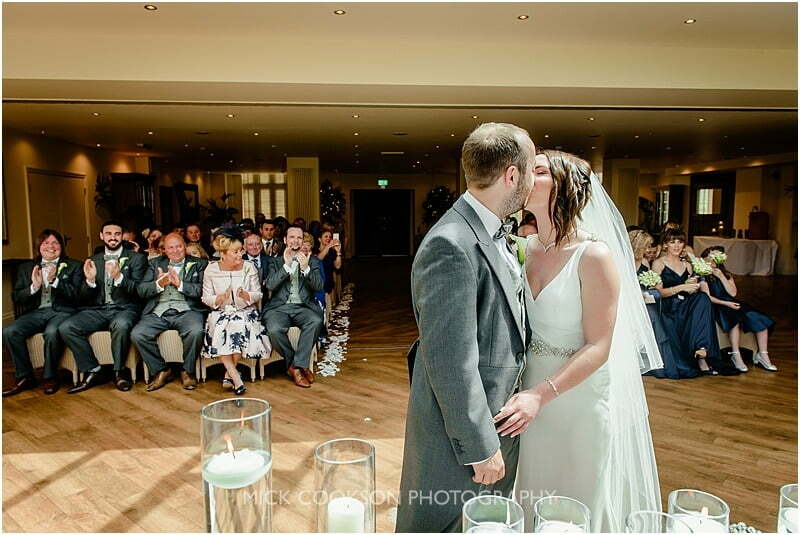 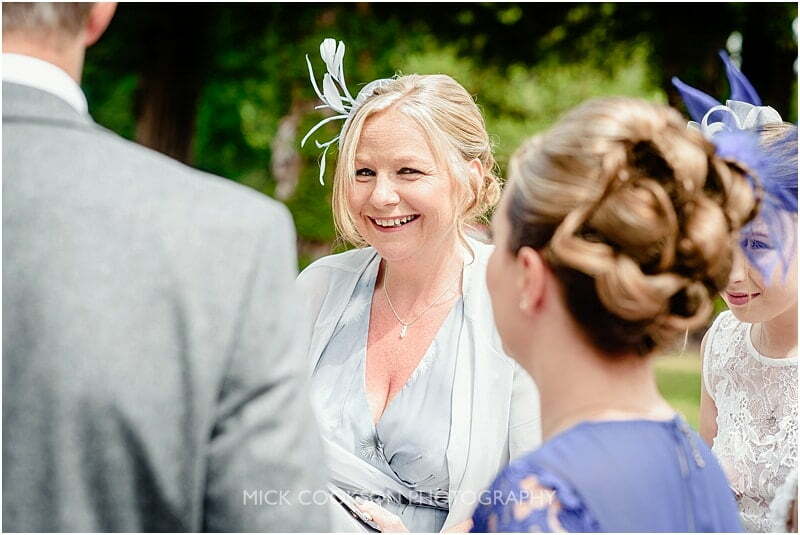 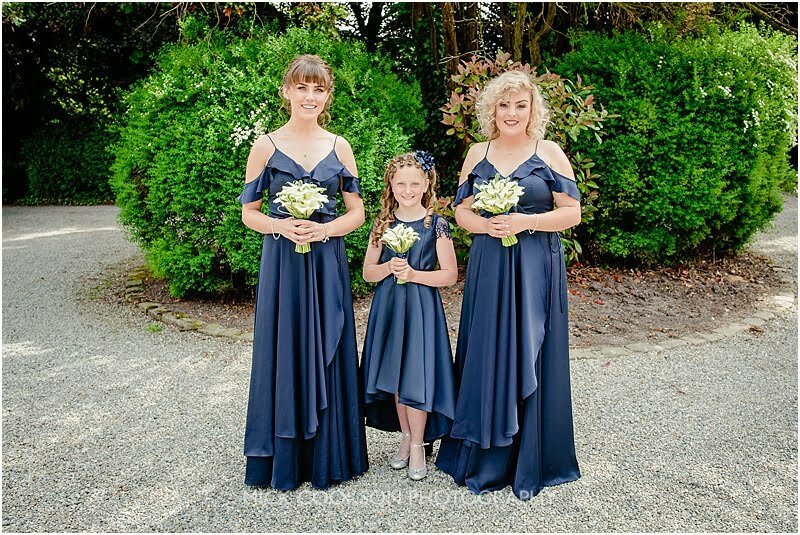 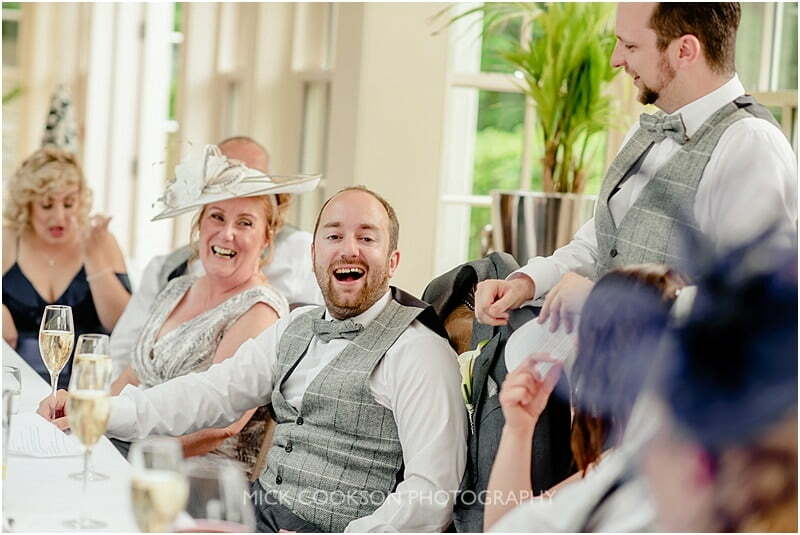 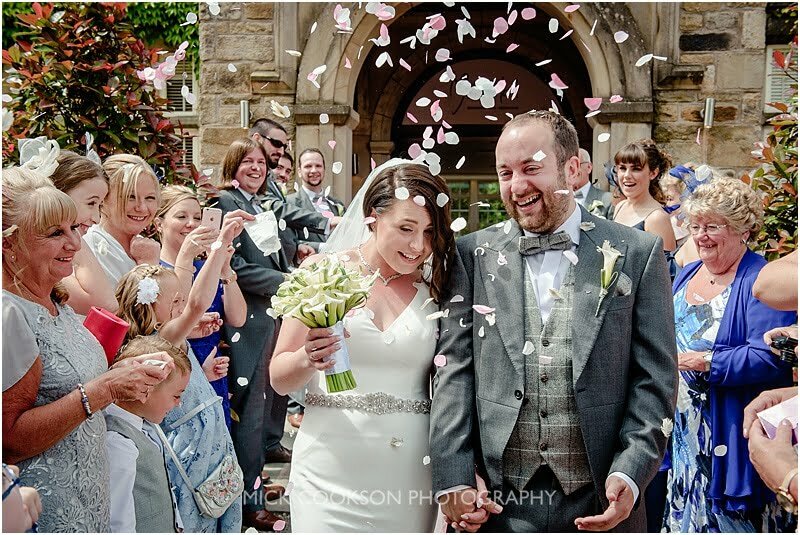 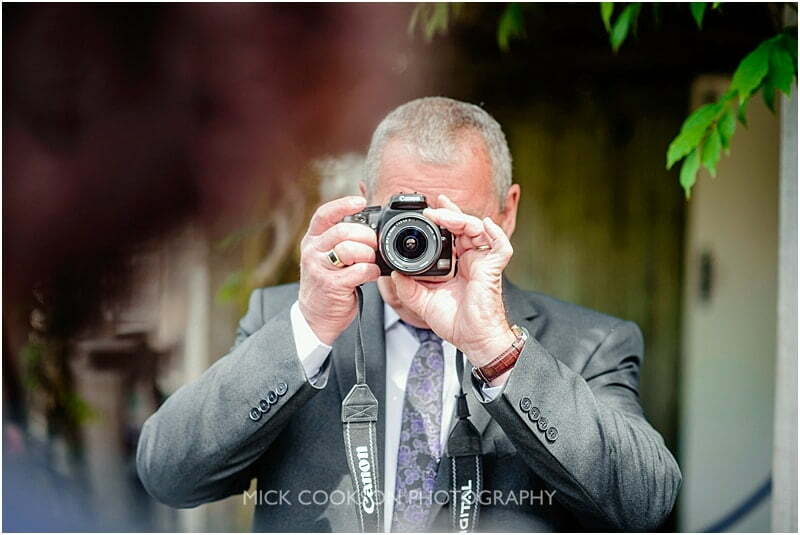 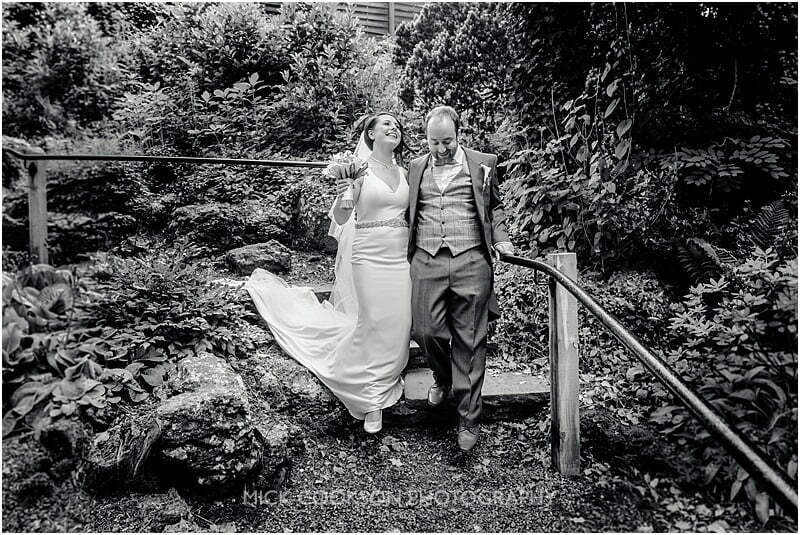 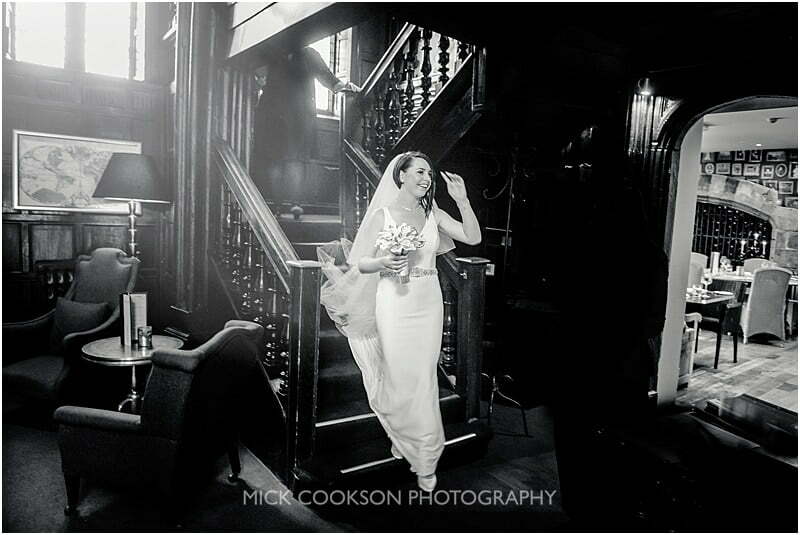 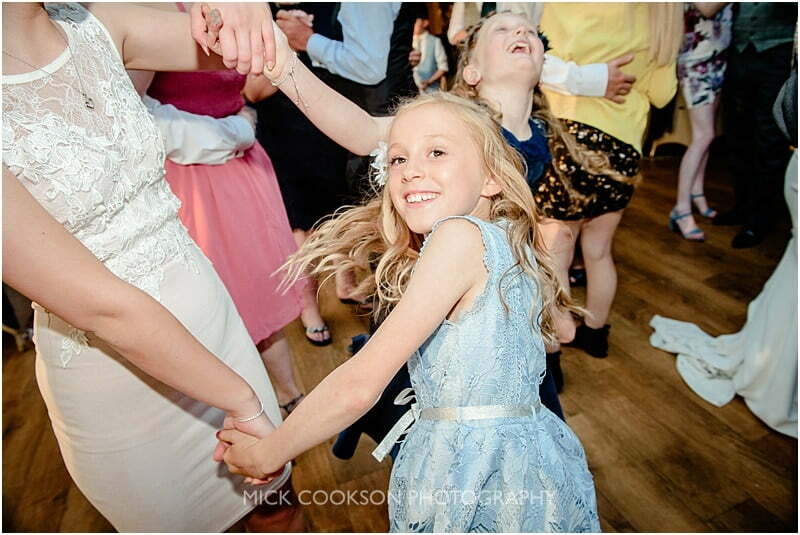 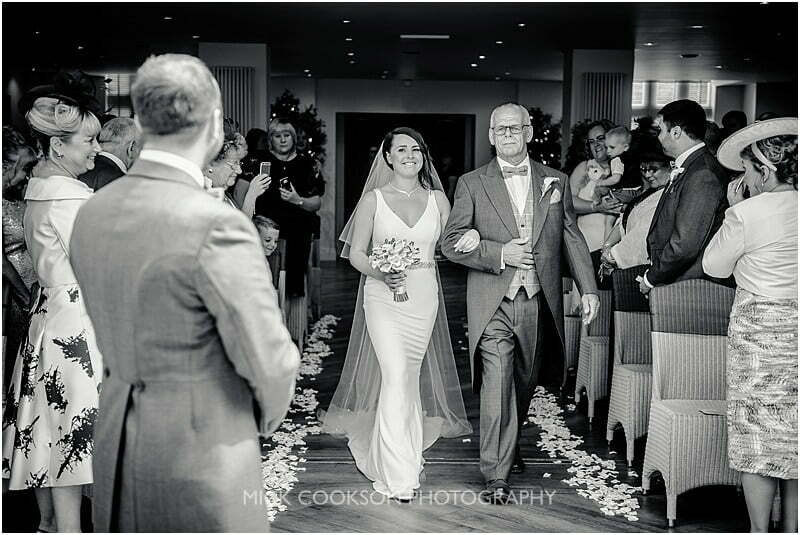 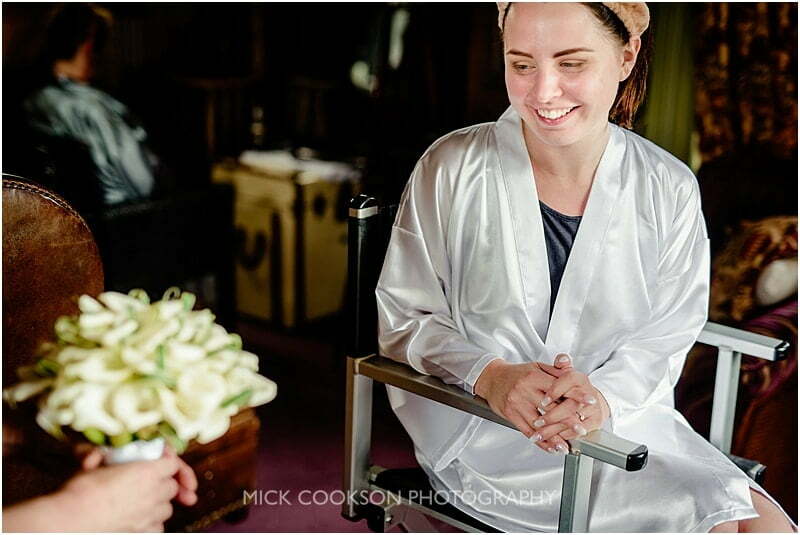 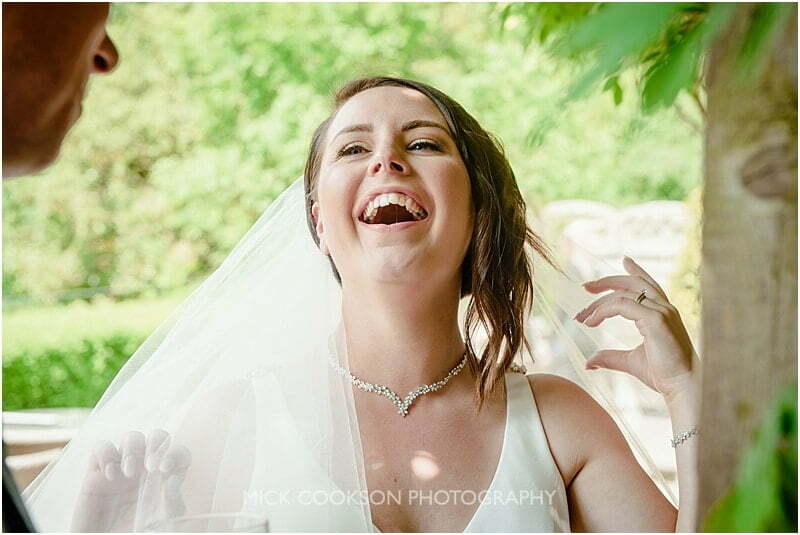 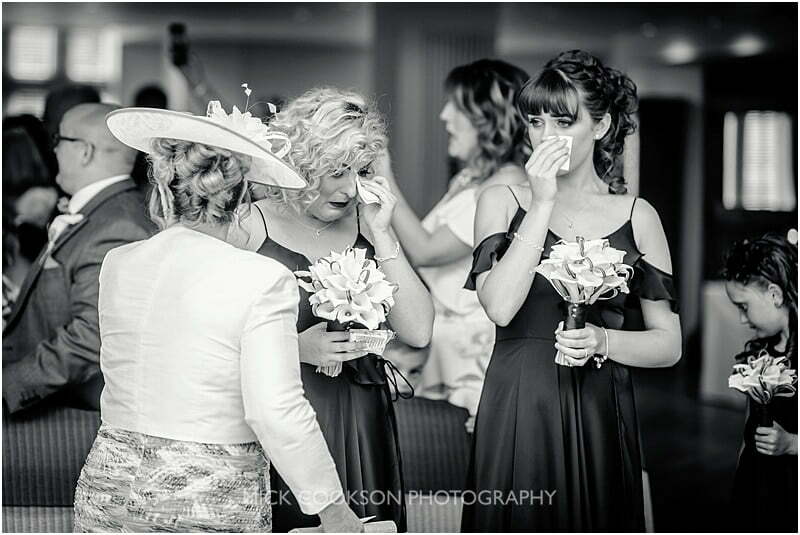 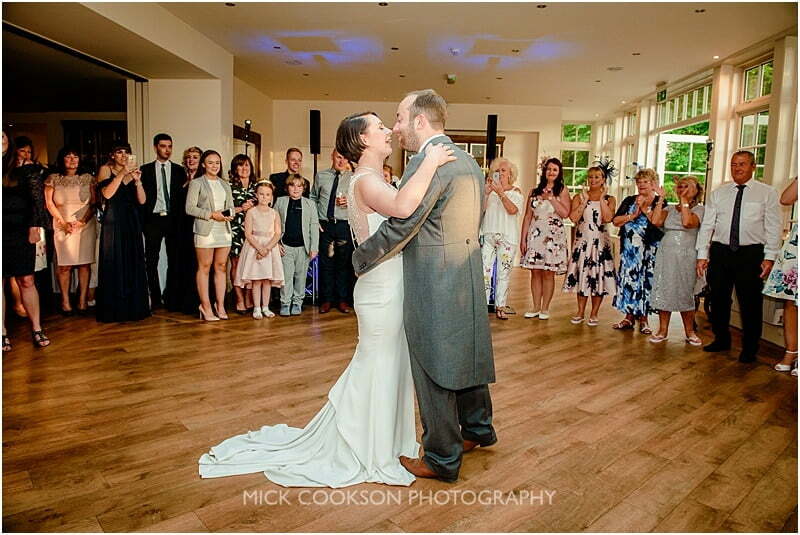 Beautifully run, with friendly staff, the venue is simply one of the best in the Ribble Valley…and they really look after us wedding photographers when we’re working too! 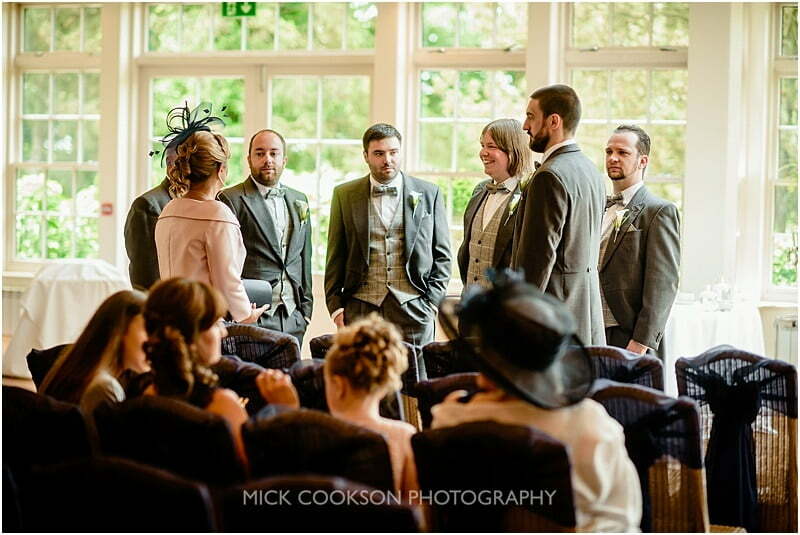 As the ceremony time was approaching, Nicola and her constantly laughing entourage switched rooms. 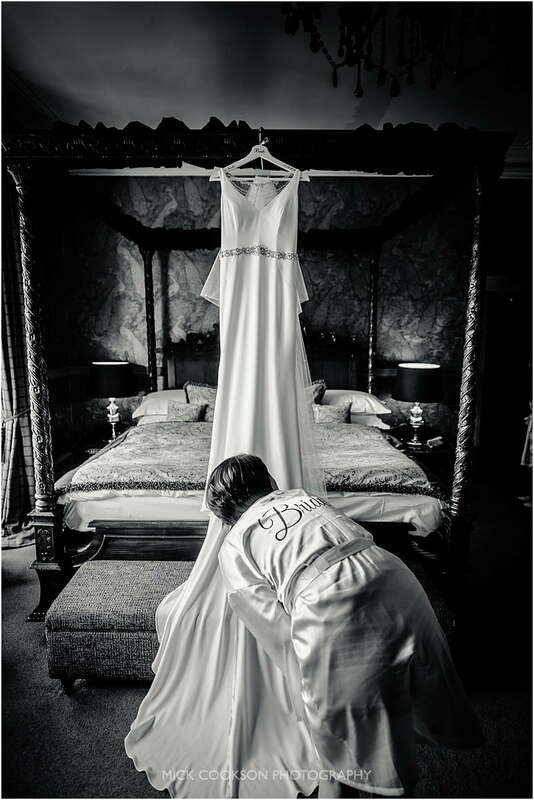 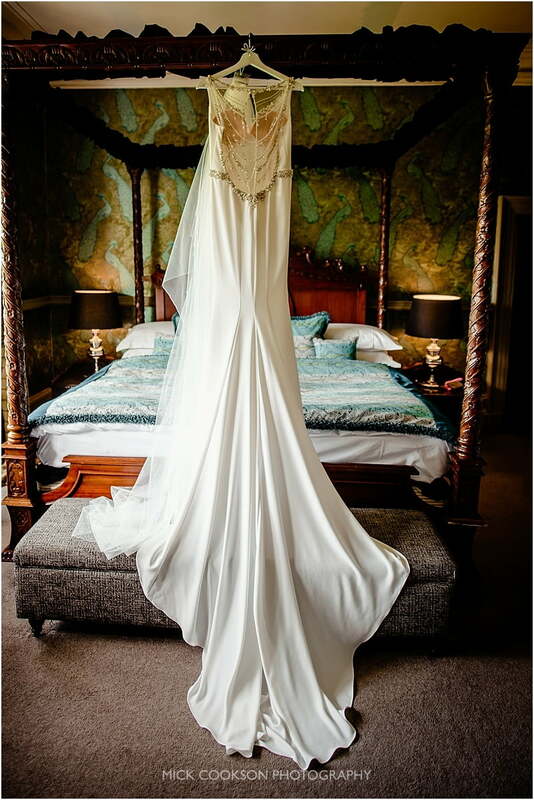 Her dress was duly re-hung on a stunning four poster bed. 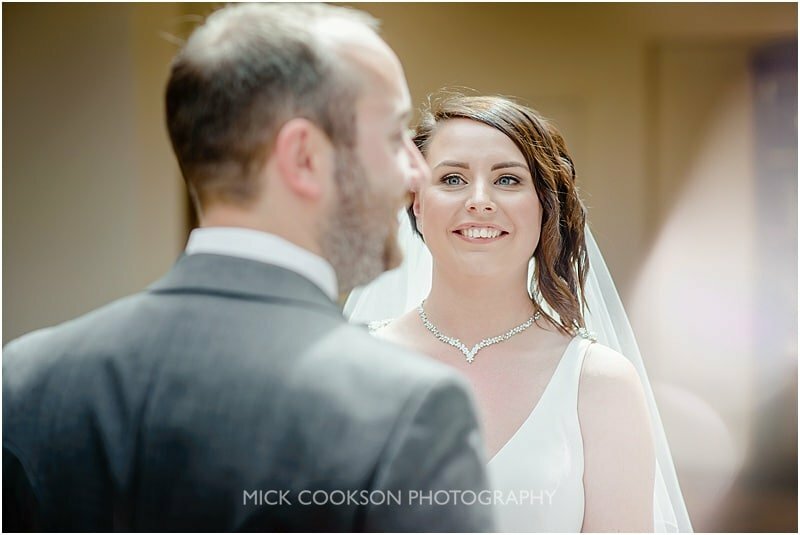 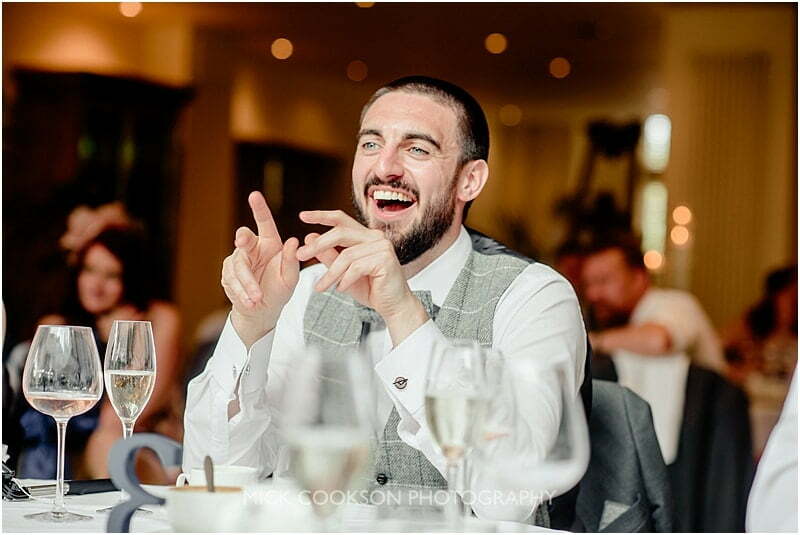 Time for a few more shots of it before Nicola out it on then… 😉 The nerves were kicking in a little, but the laughter was relentless. 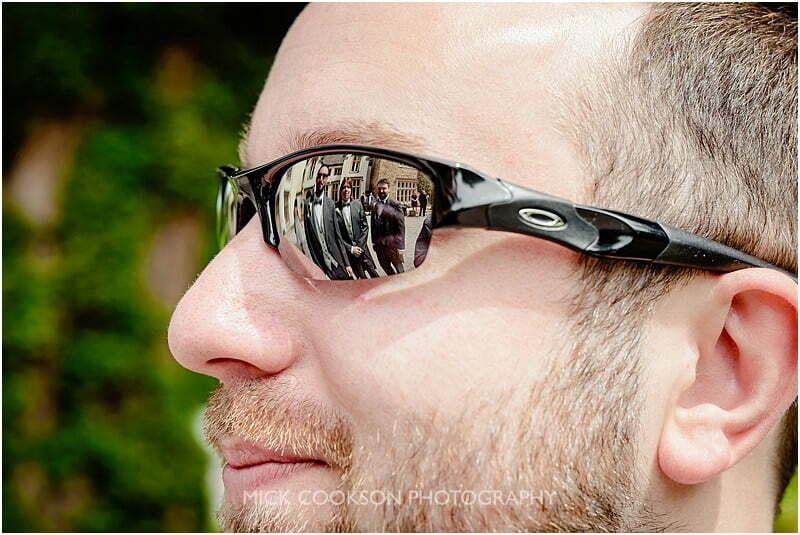 A handful of portraits later, I was off to meet Dan and his Groomsmen outside the Hall. 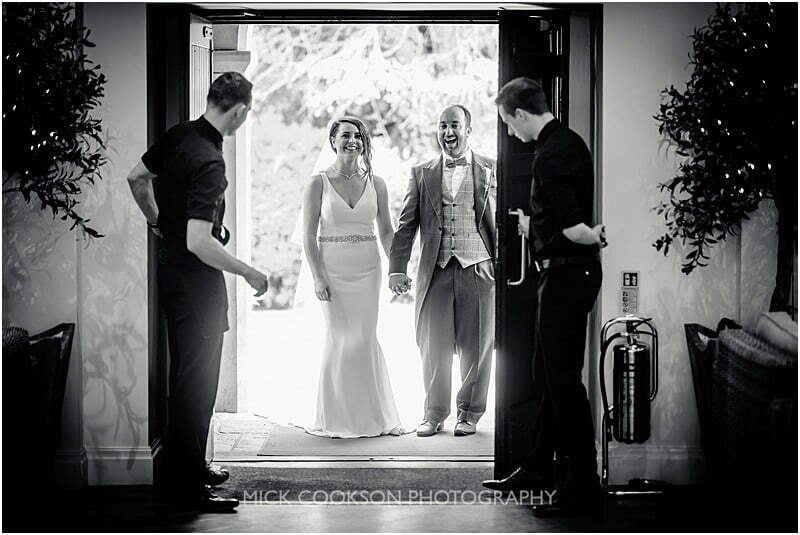 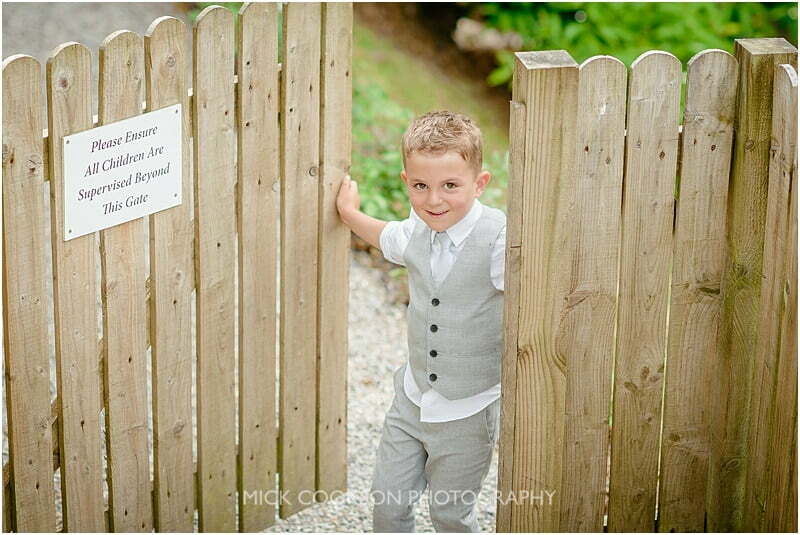 With a nerve-steadying beer in one hand, Dan was busy greeting guests as they arrived. 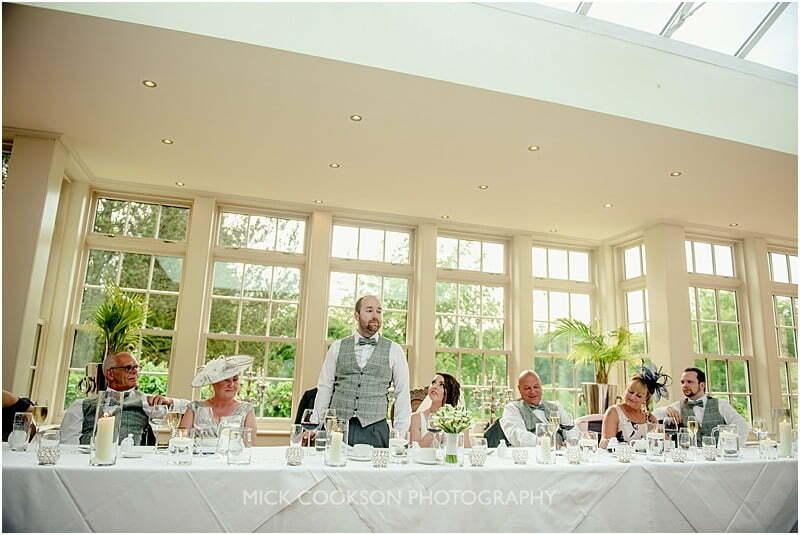 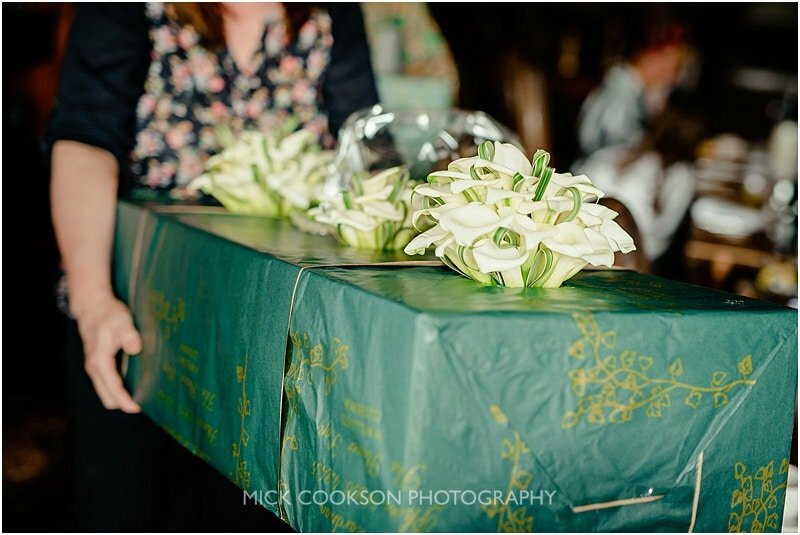 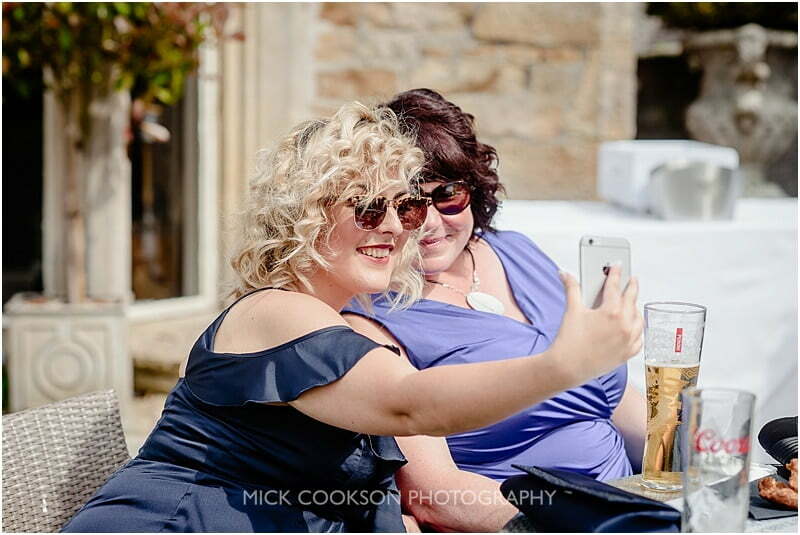 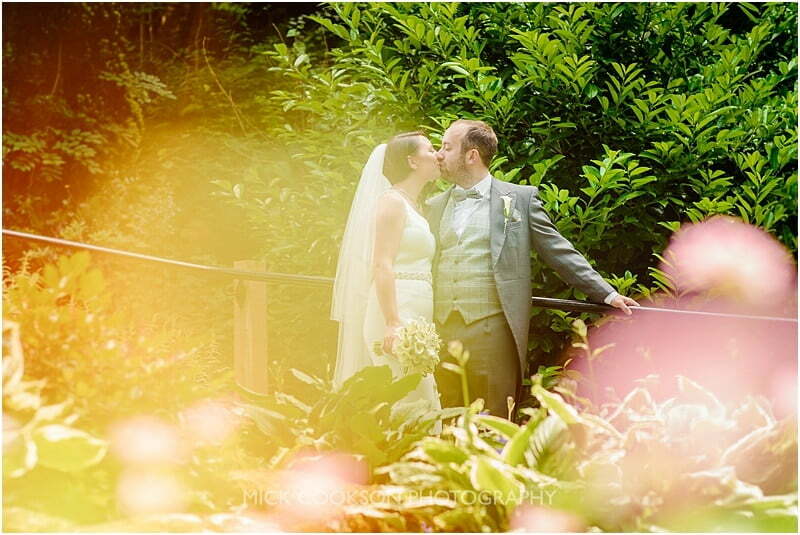 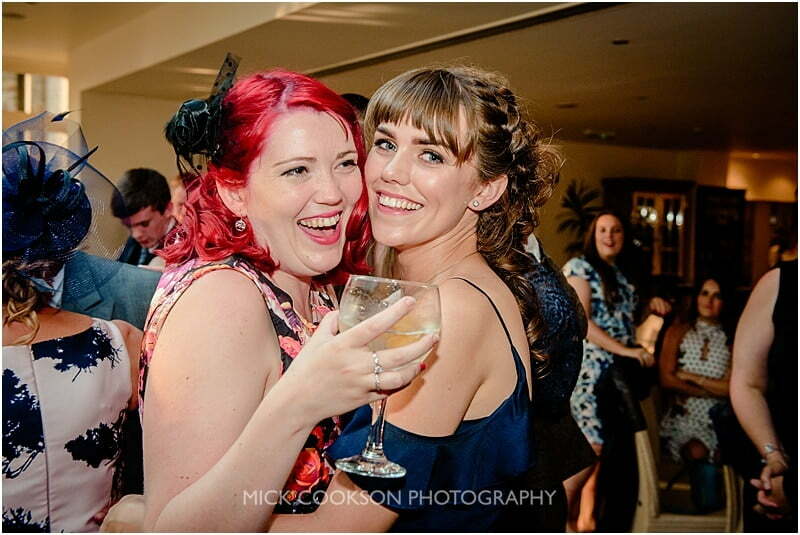 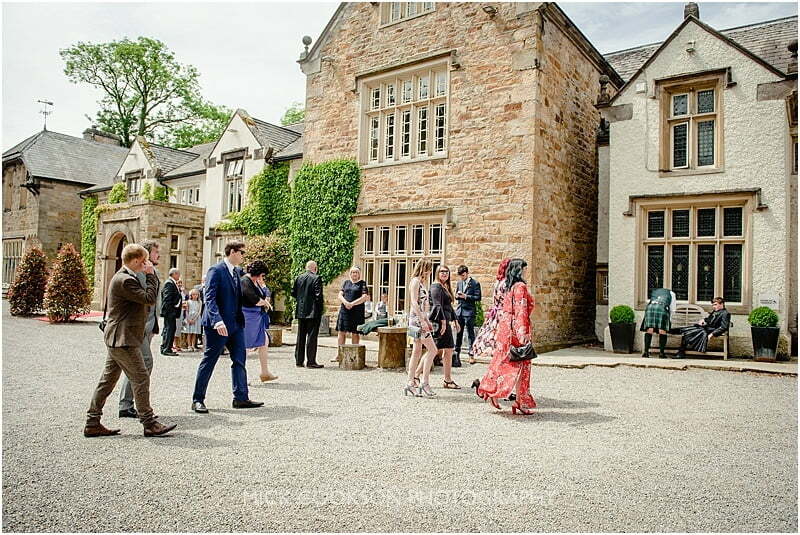 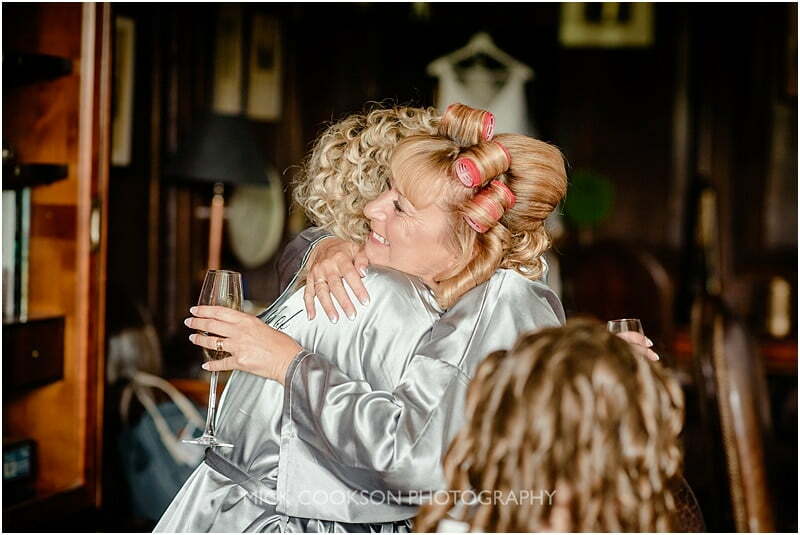 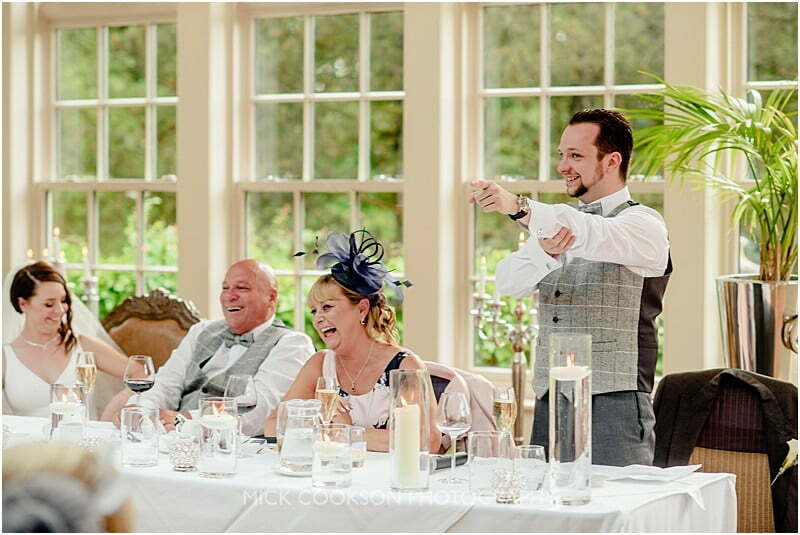 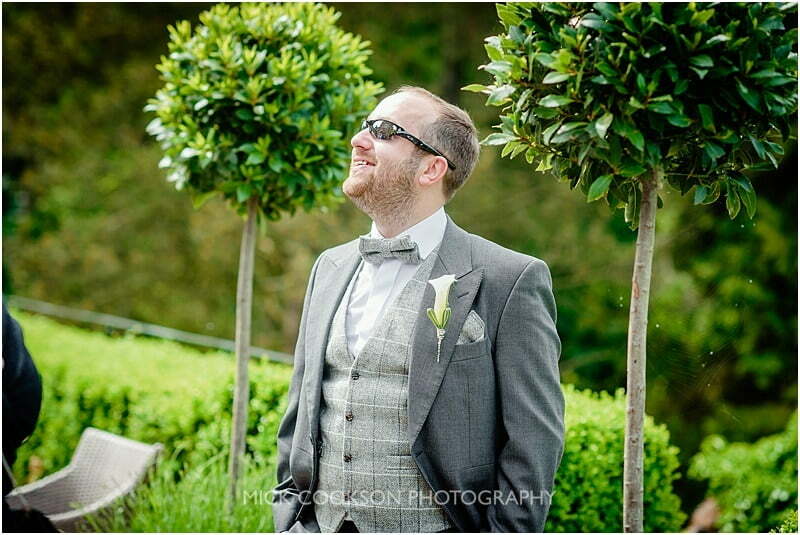 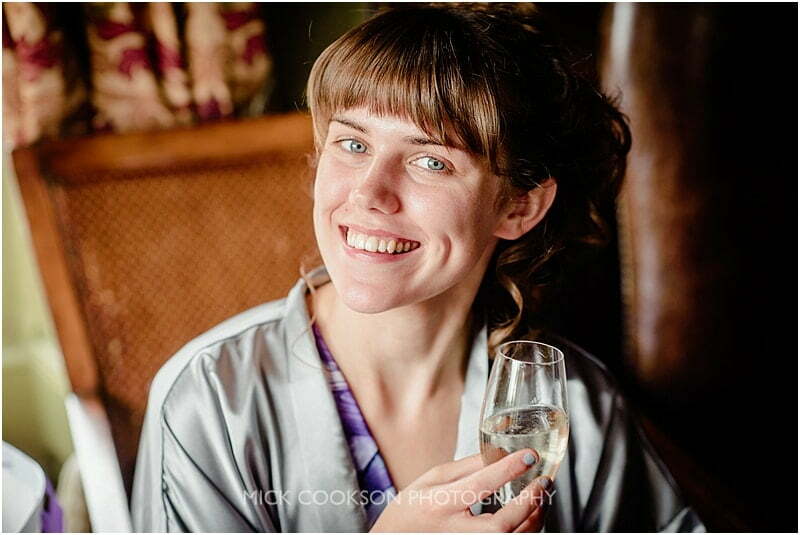 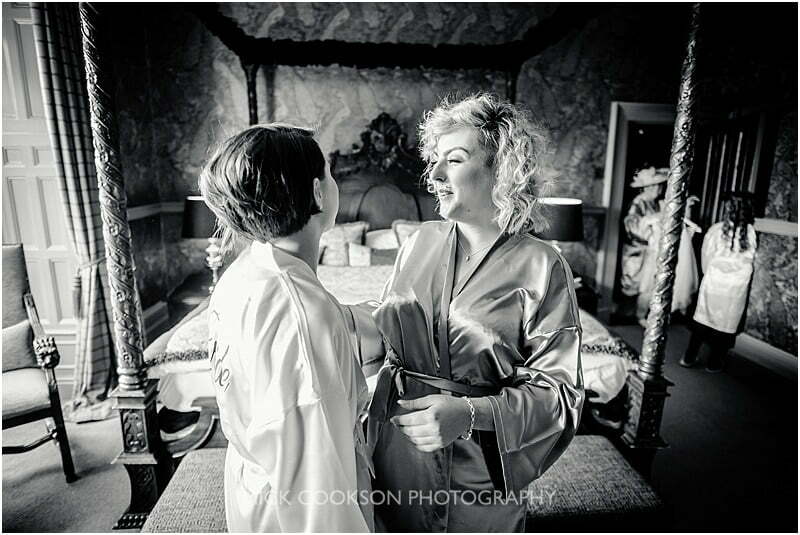 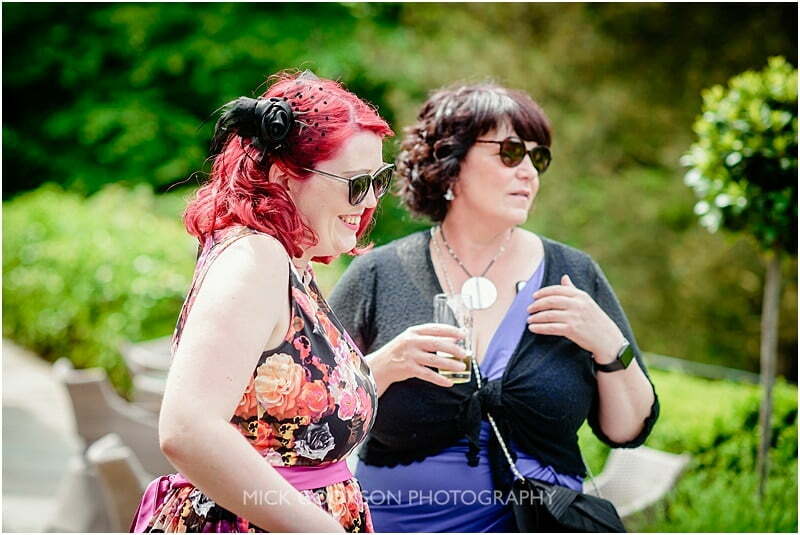 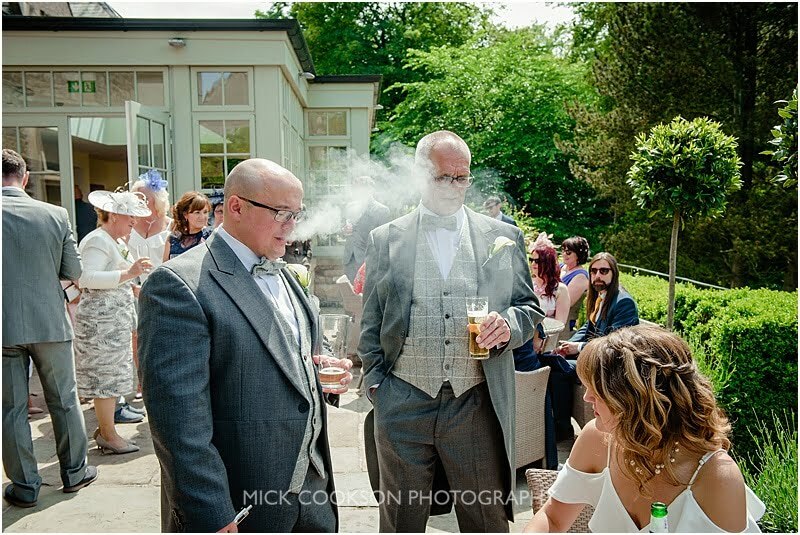 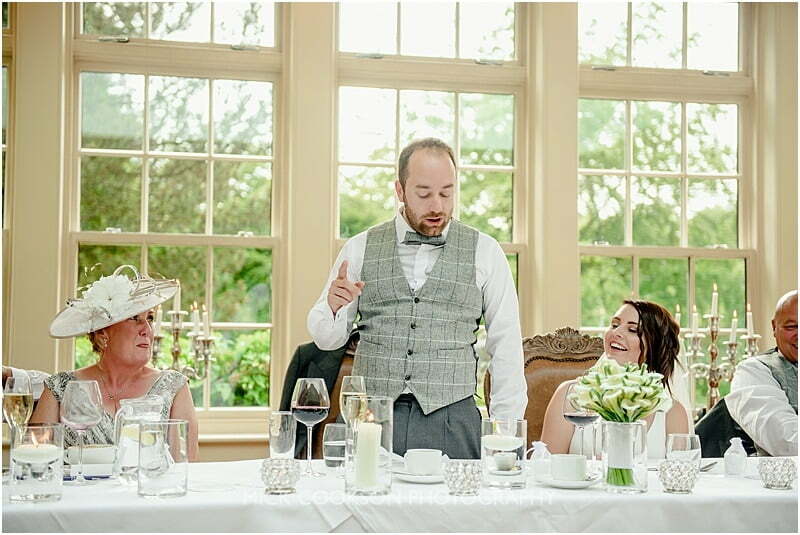 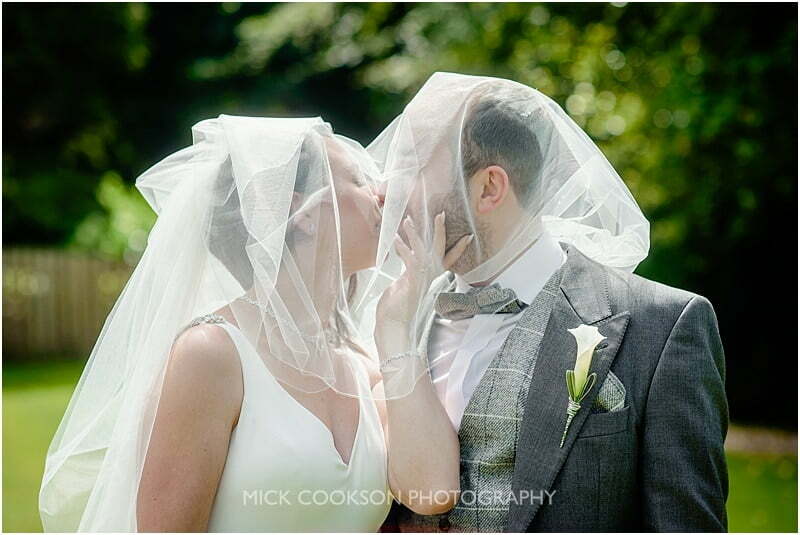 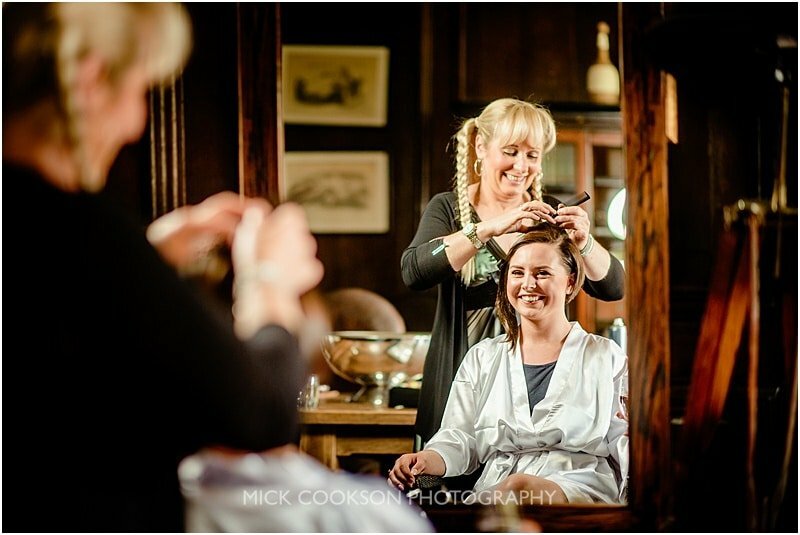 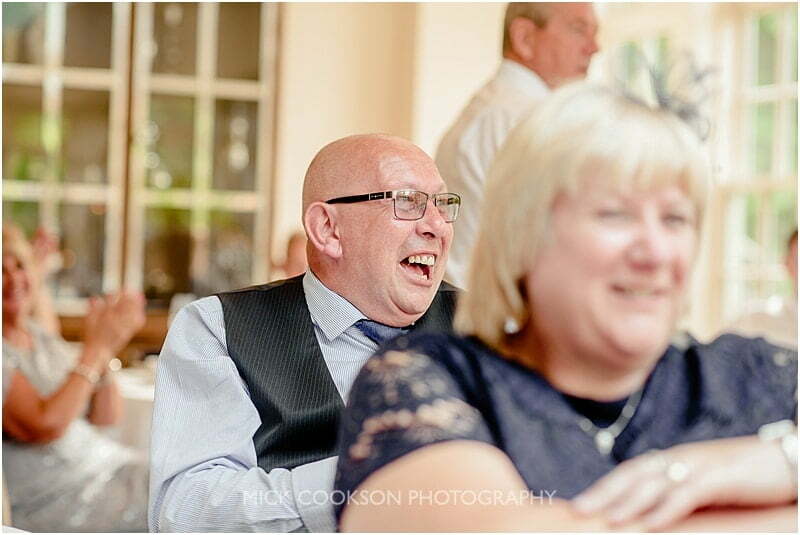 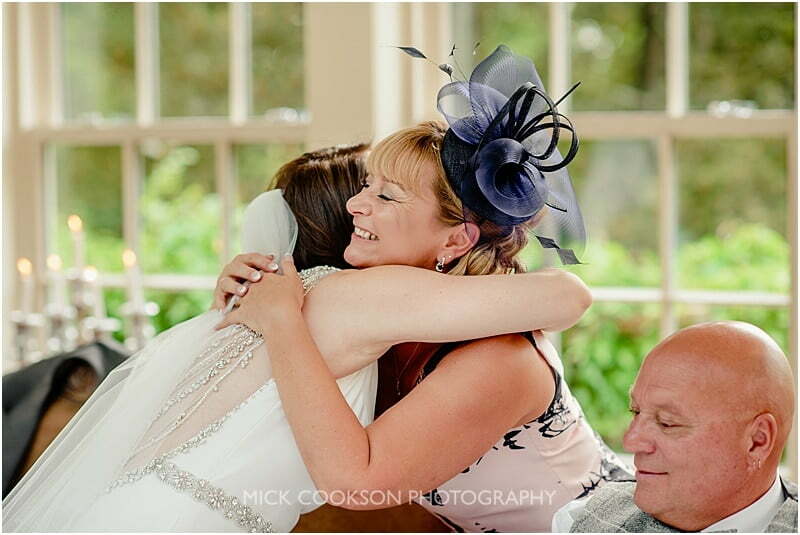 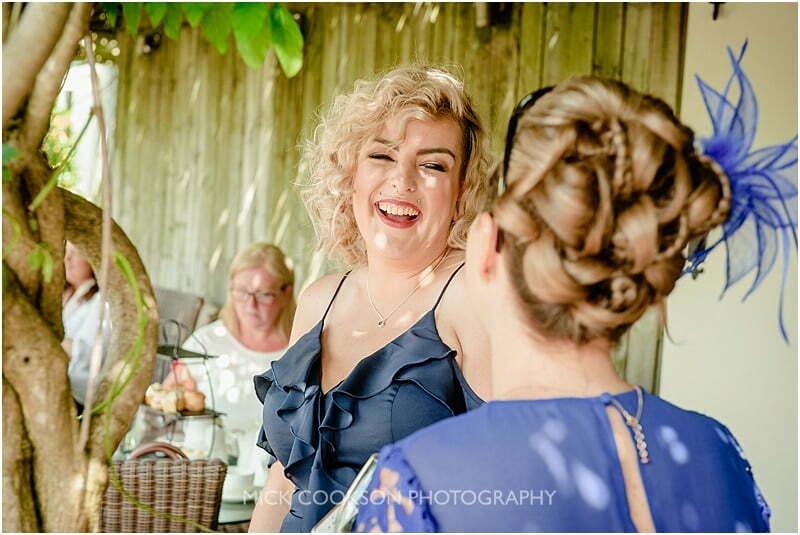 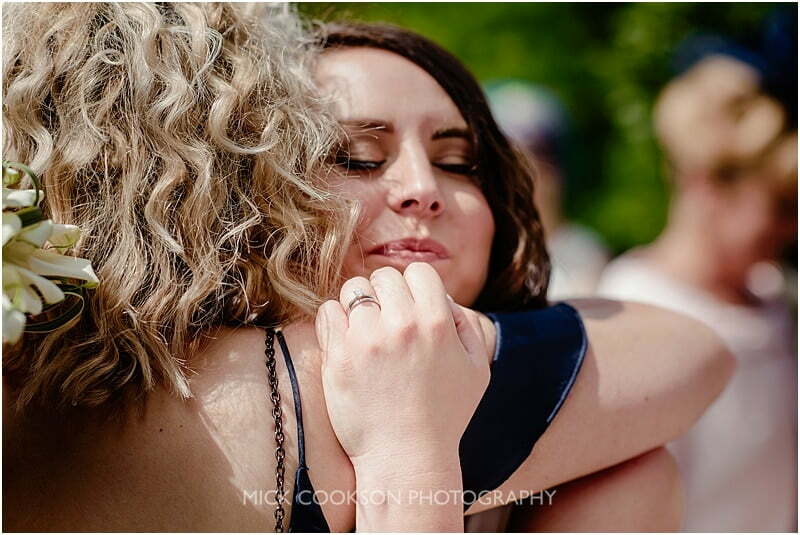 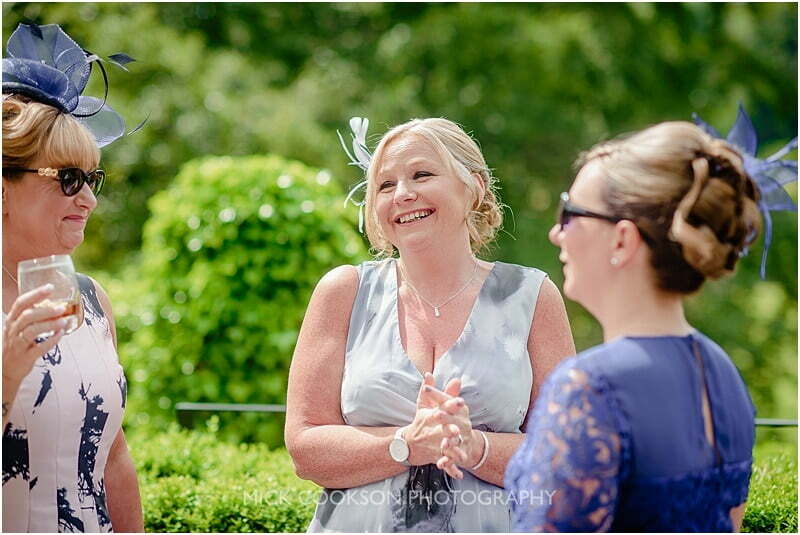 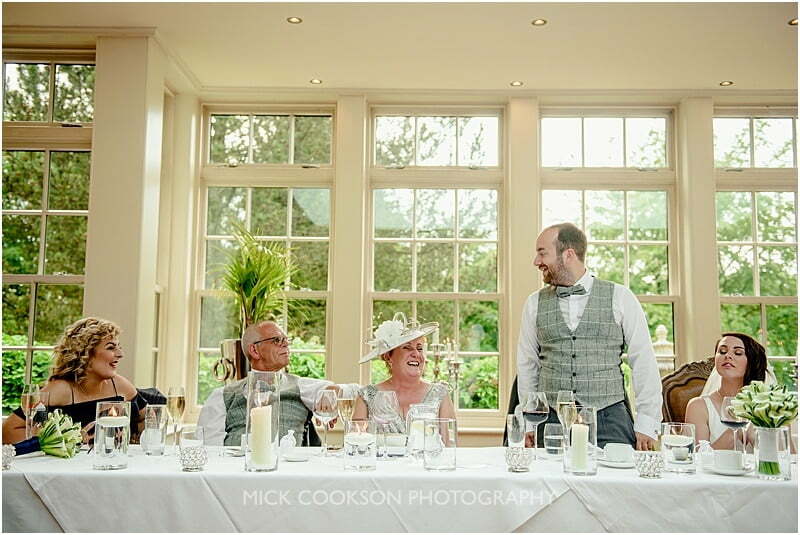 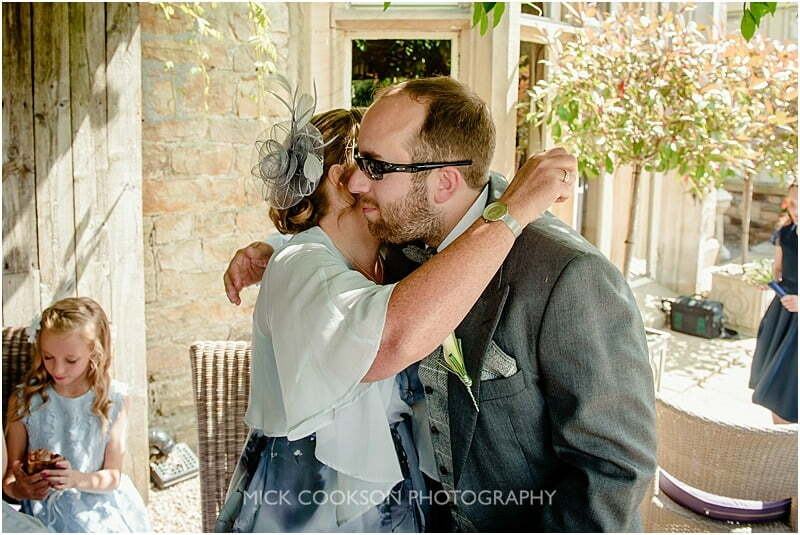 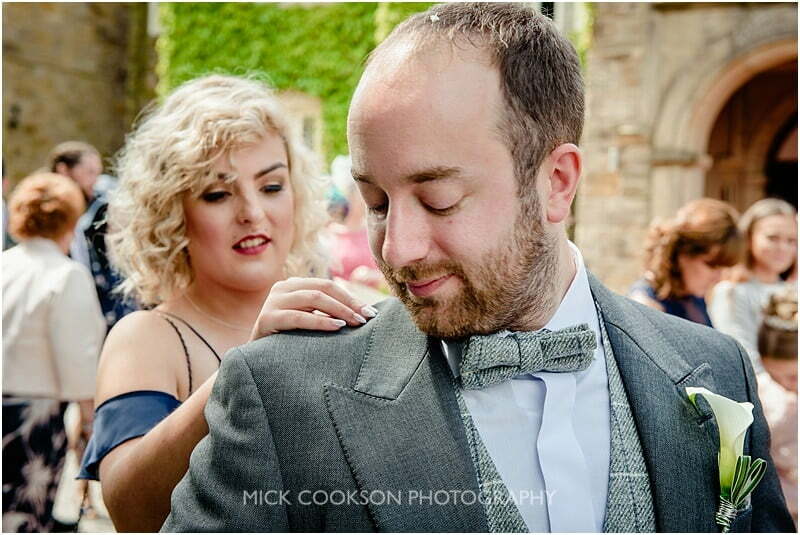 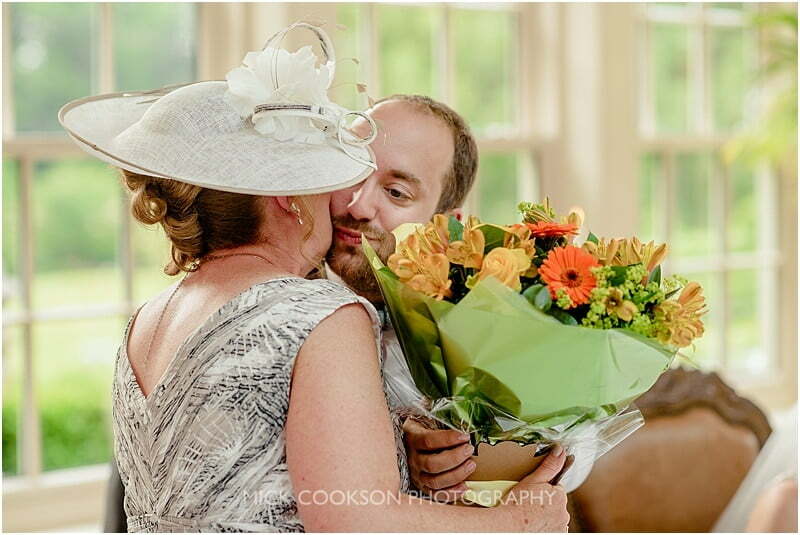 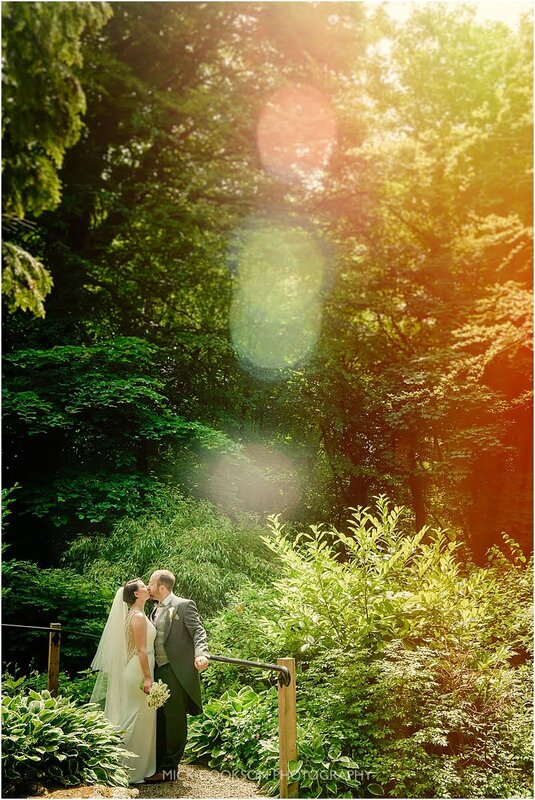 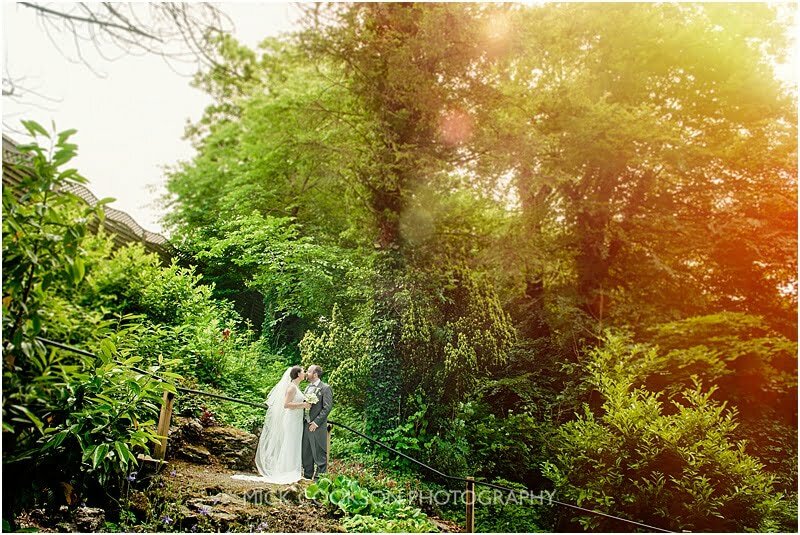 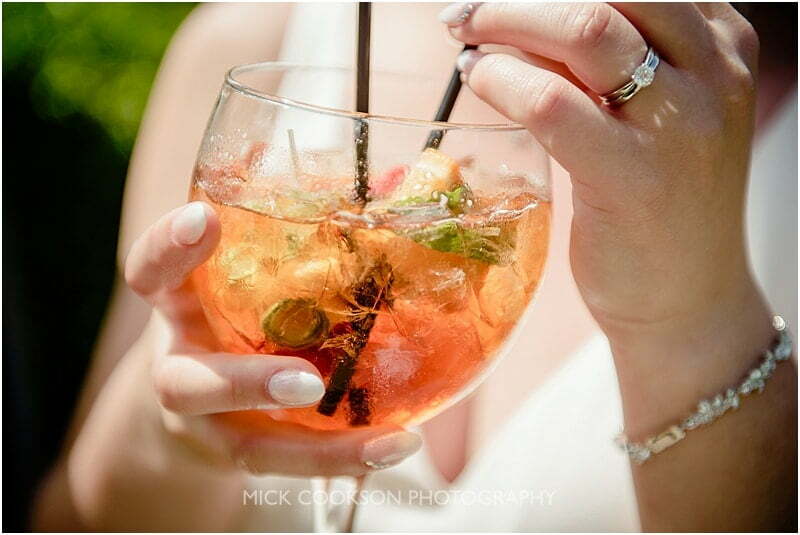 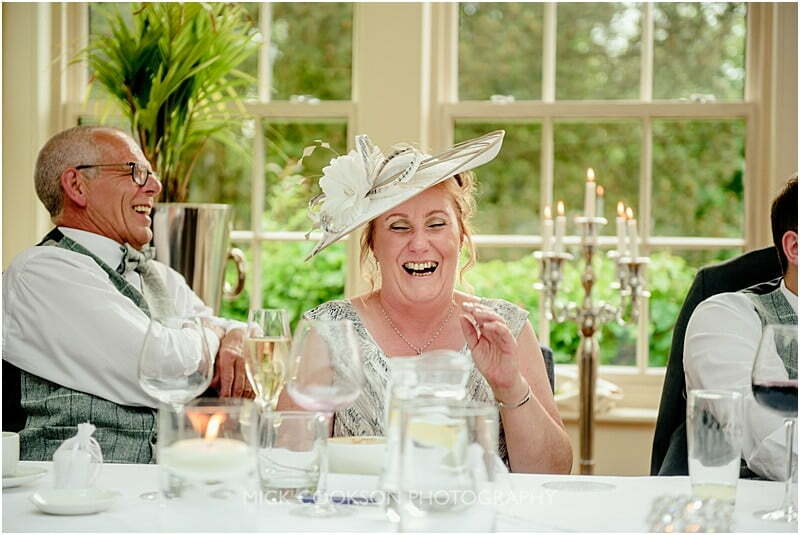 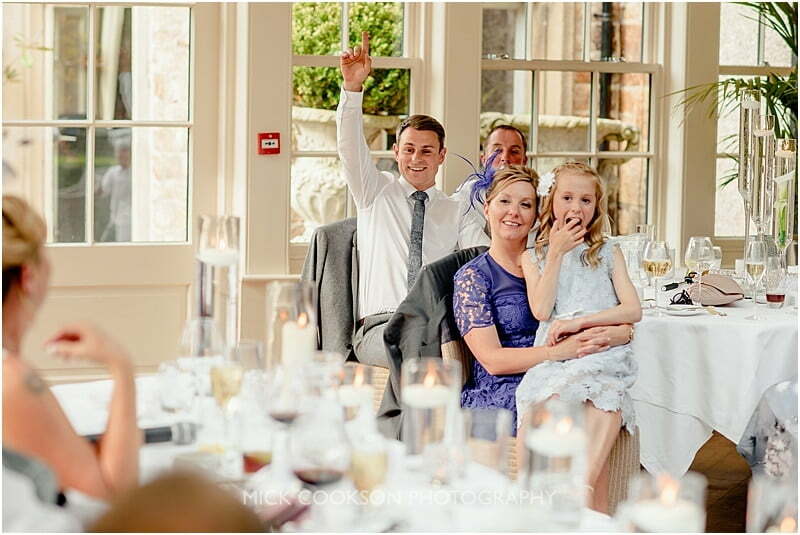 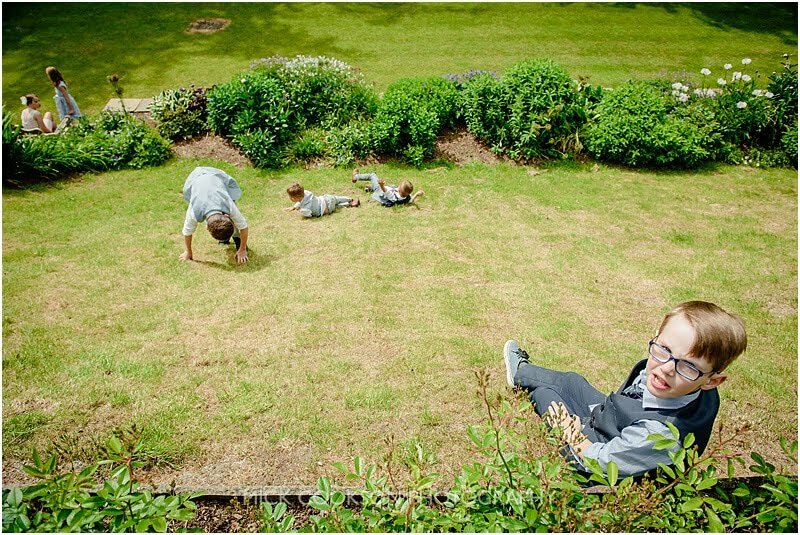 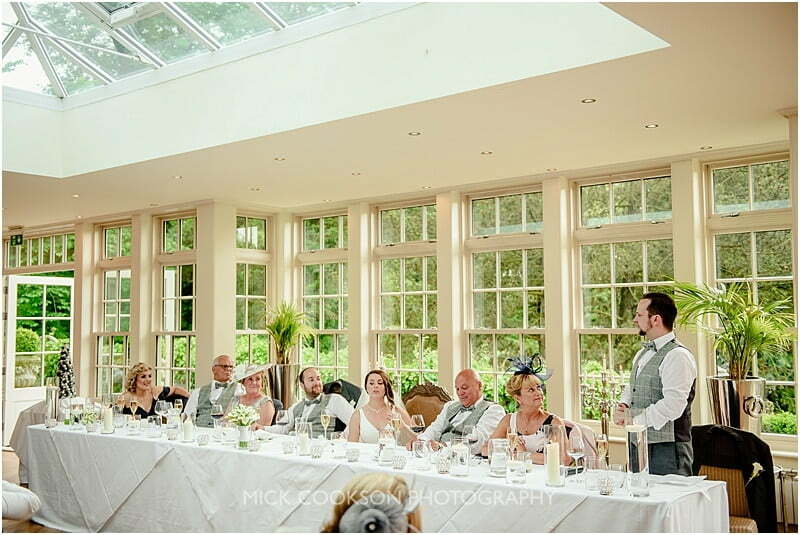 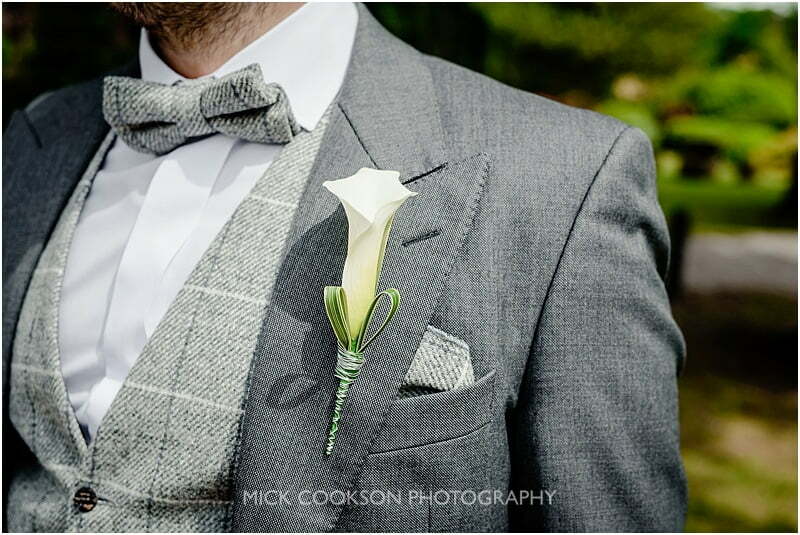 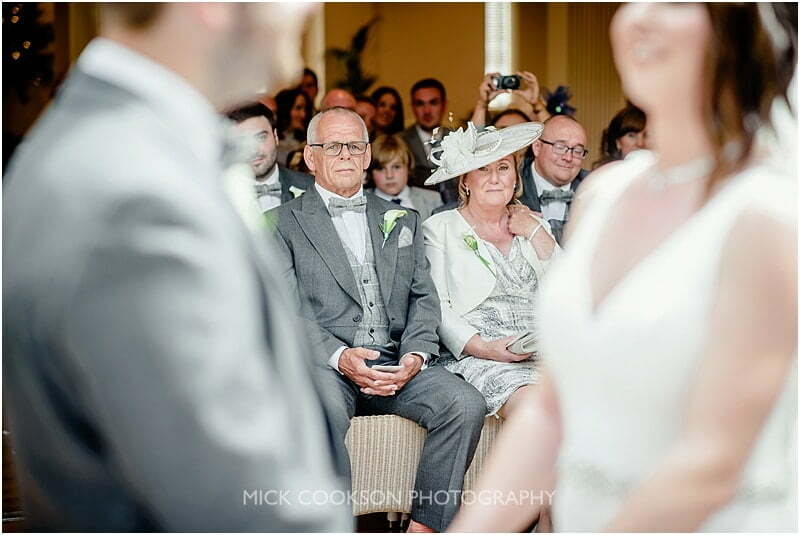 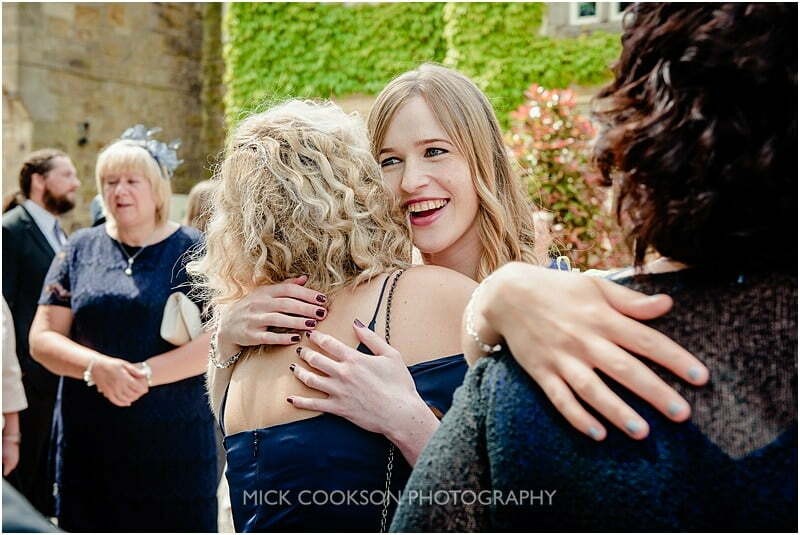 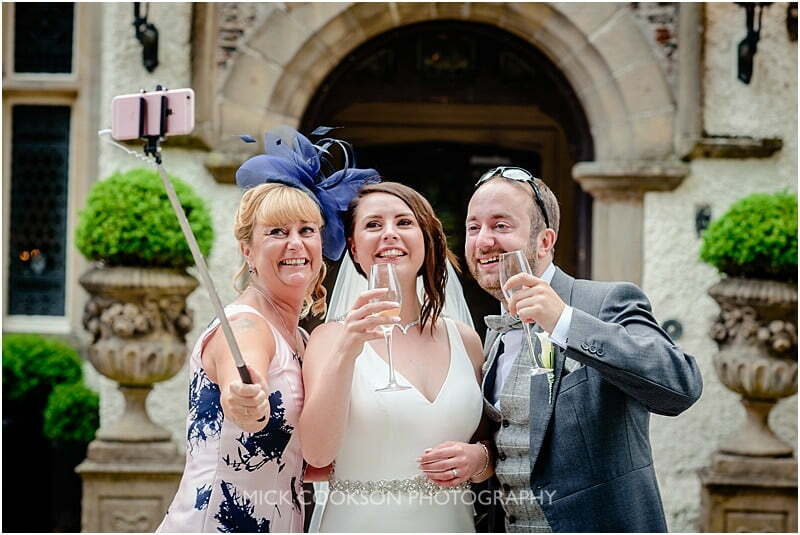 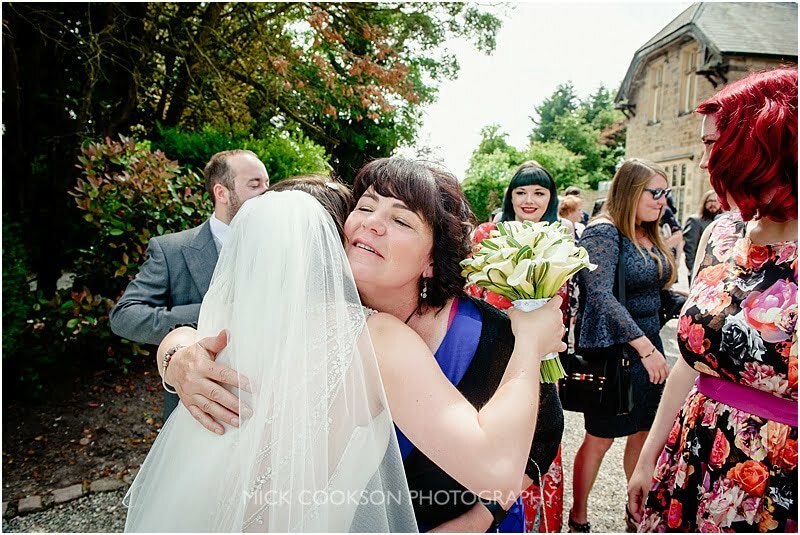 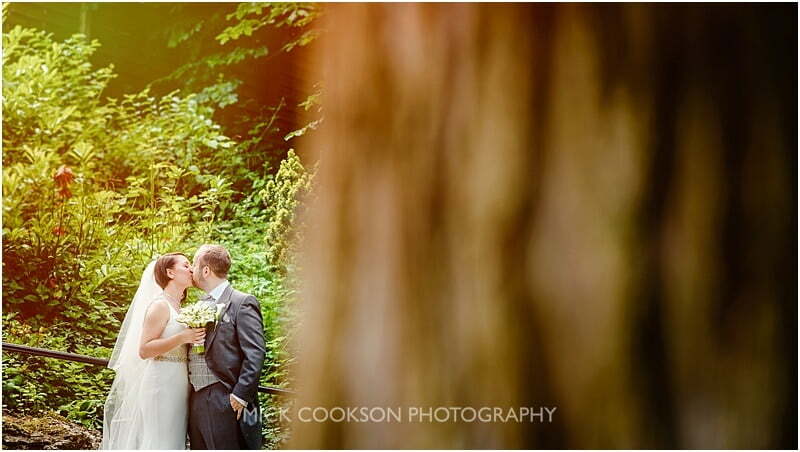 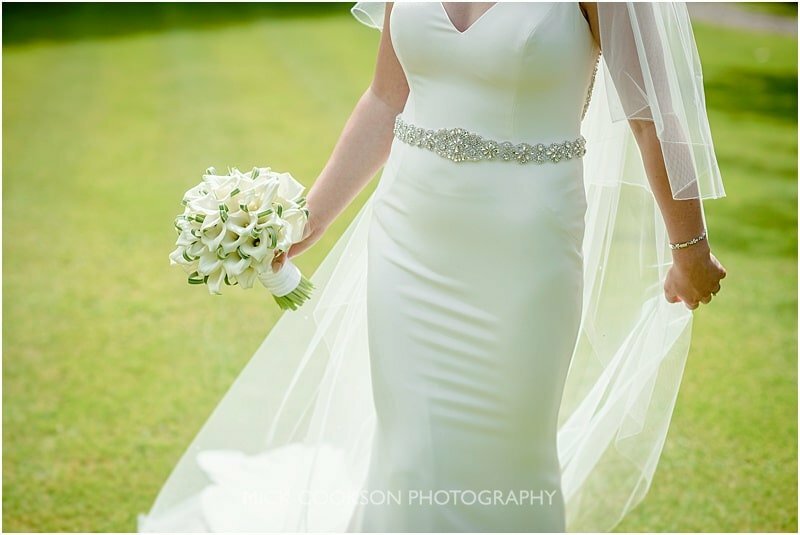 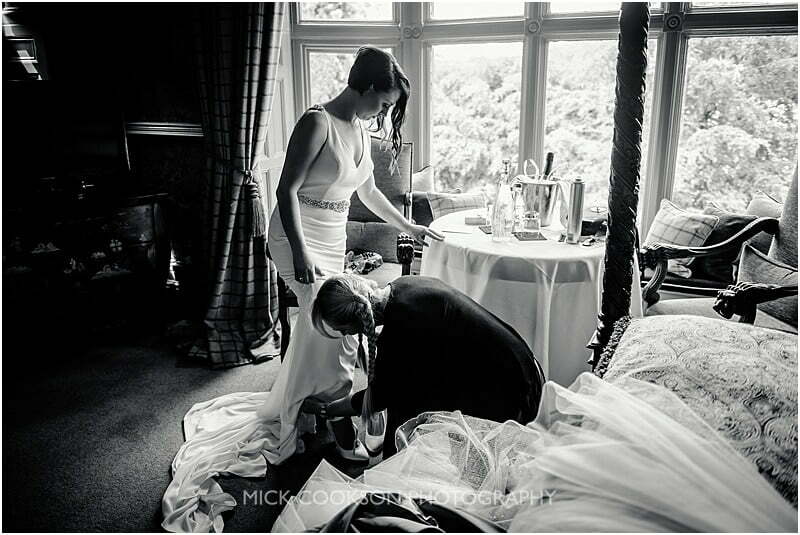 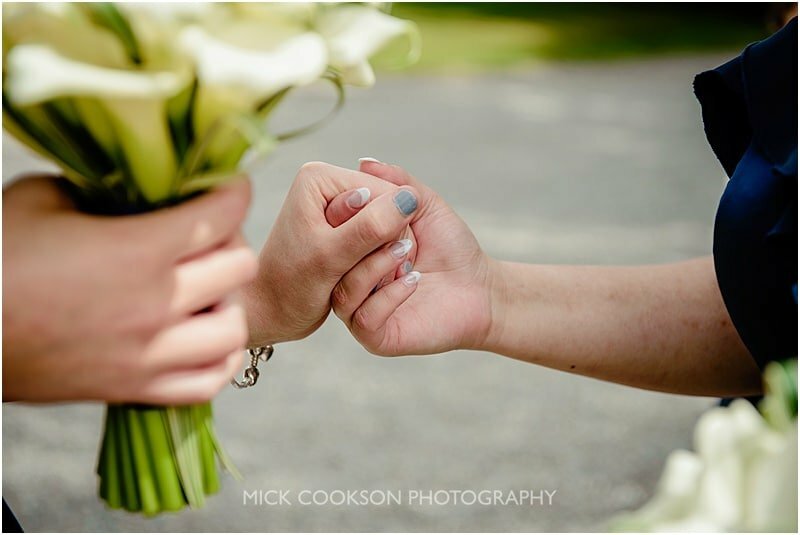 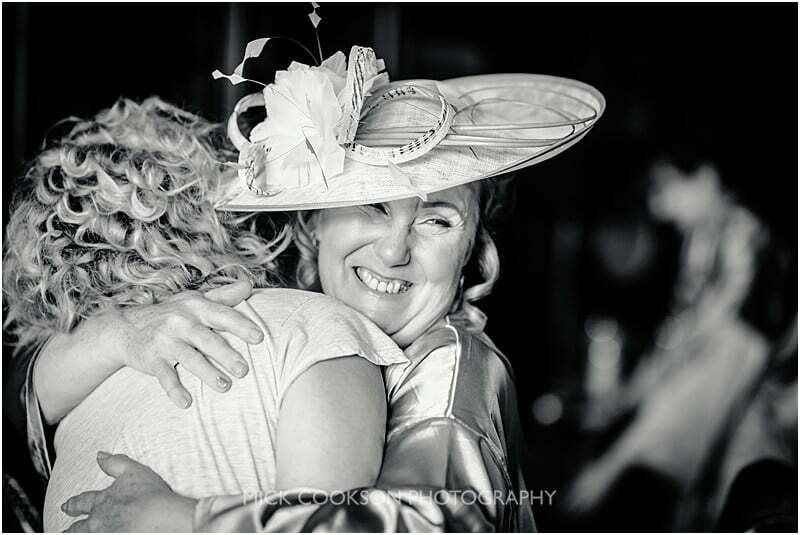 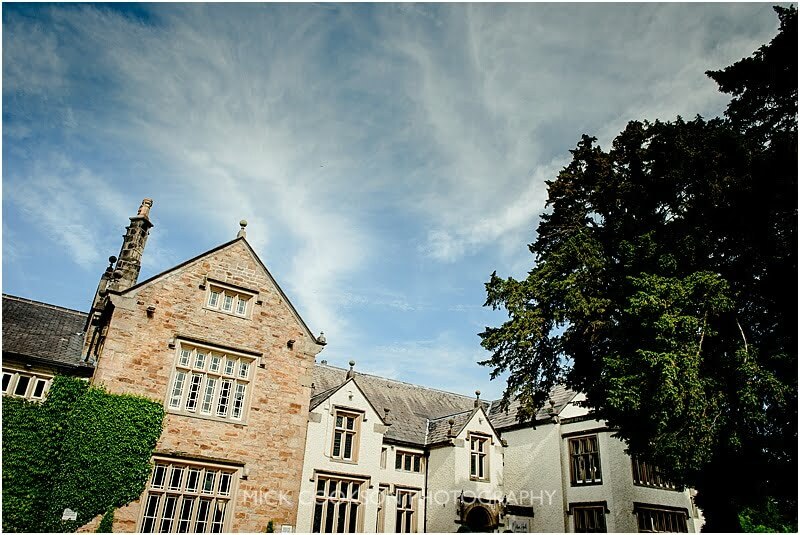 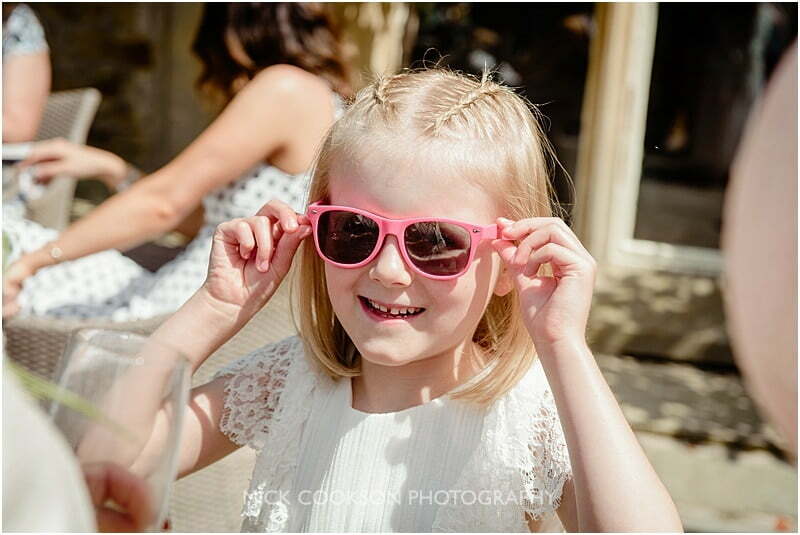 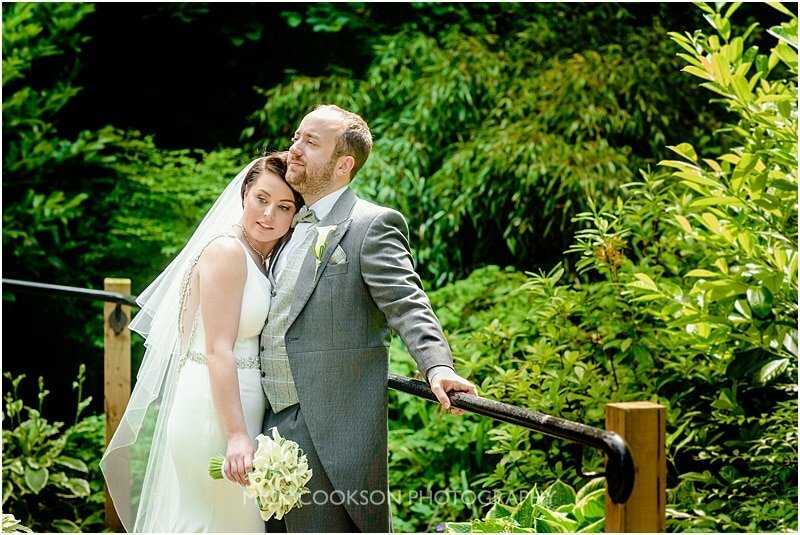 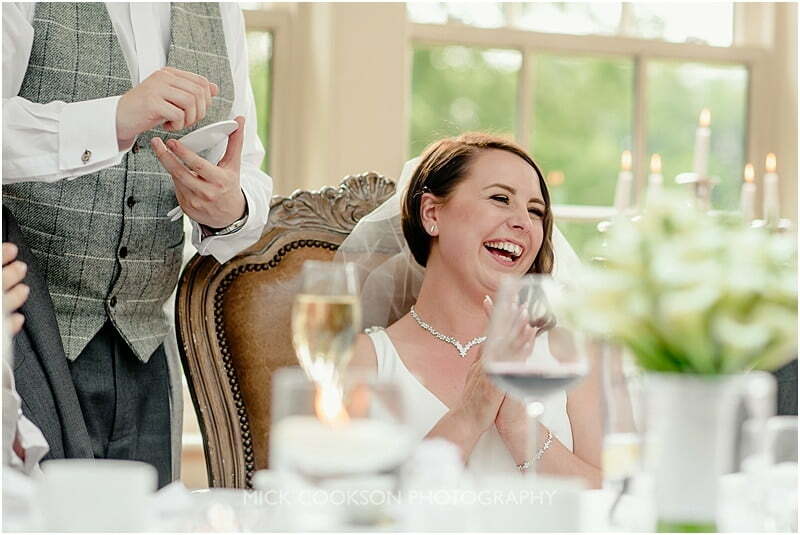 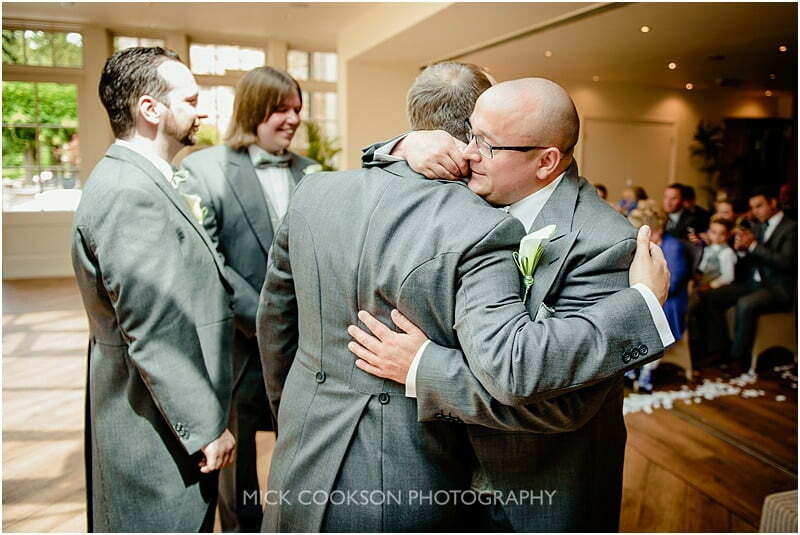 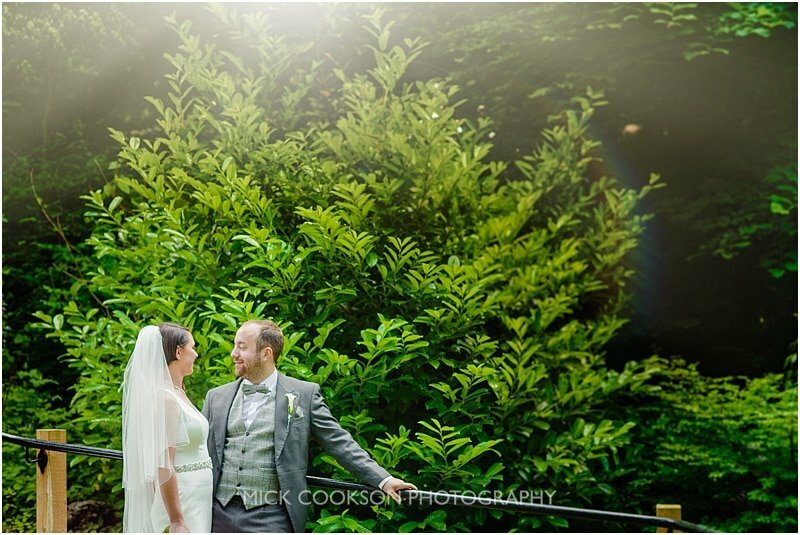 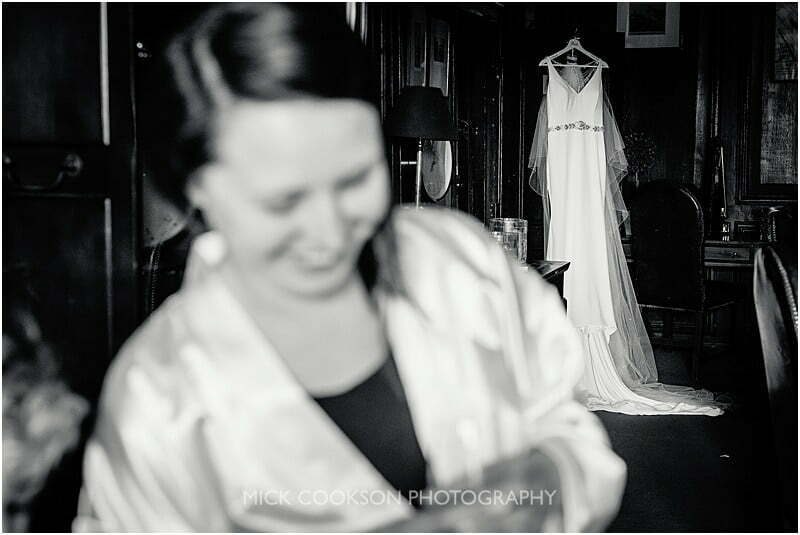 The sun was out, everything was on time – a perfect Mitton Hall wedding was to commence. 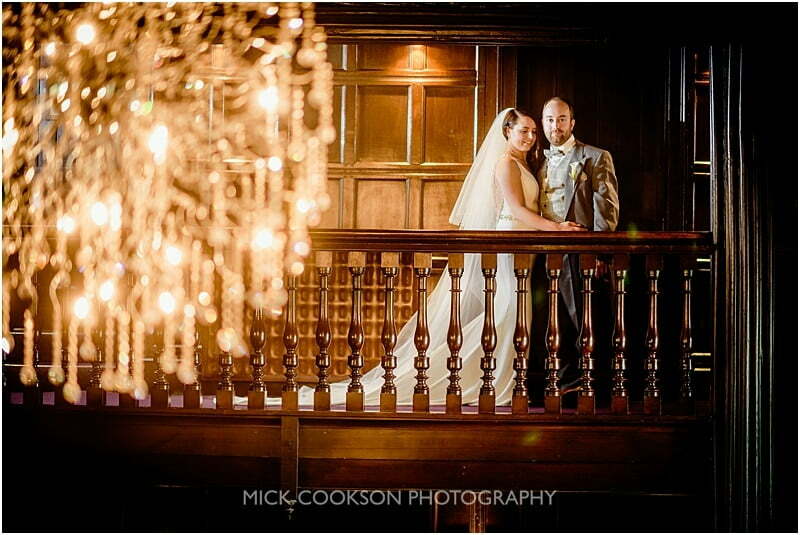 As the guests were being seated for the wedding breakfast, we nipped upstairs onto the gallery for a few minutes’ shooting with that famous Mitton Hall chandelier. 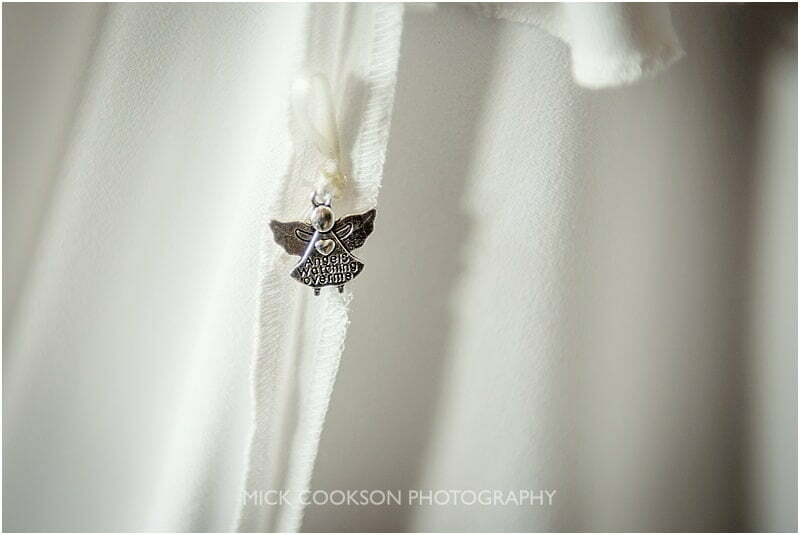 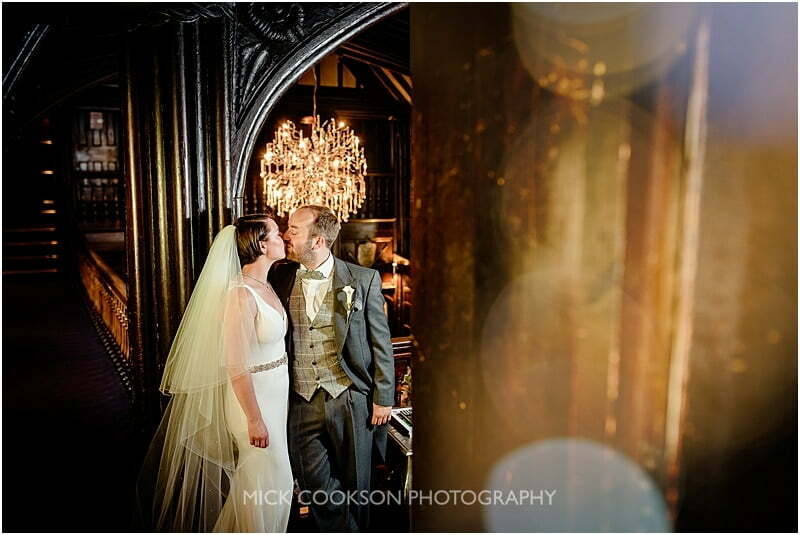 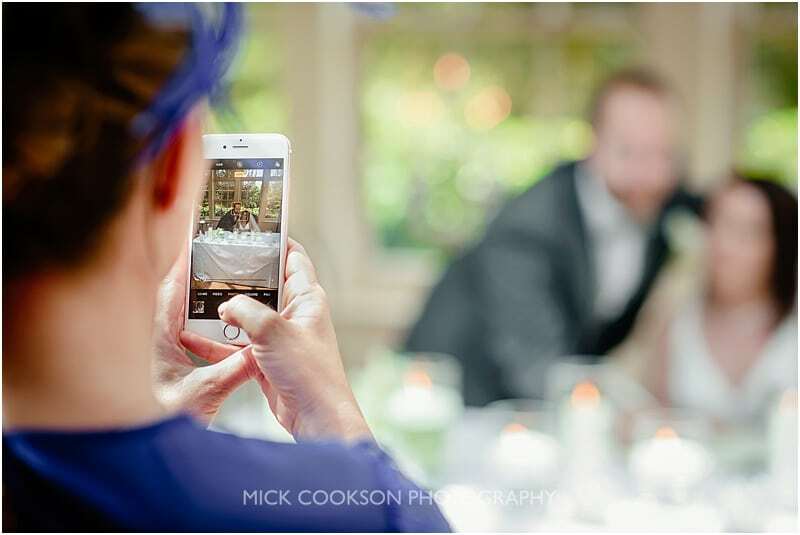 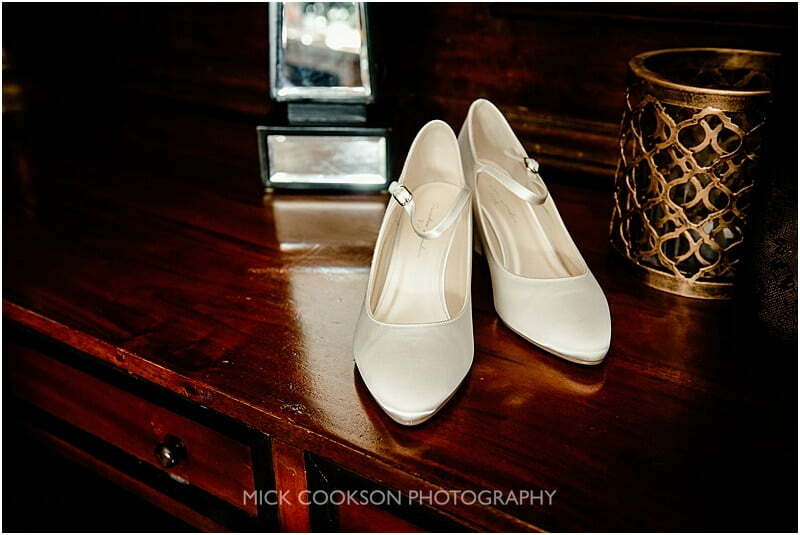 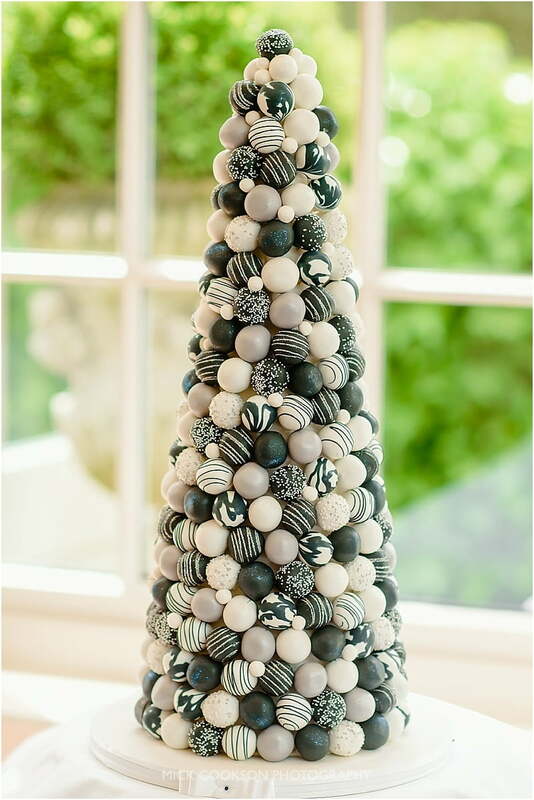 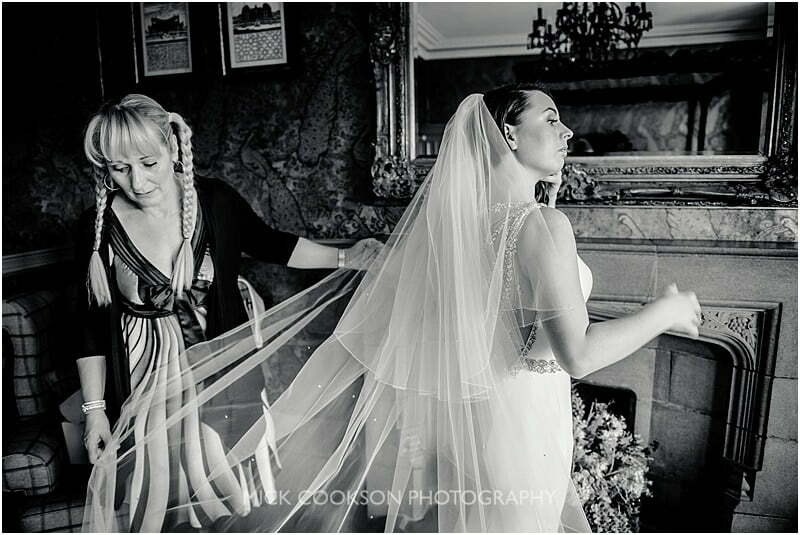 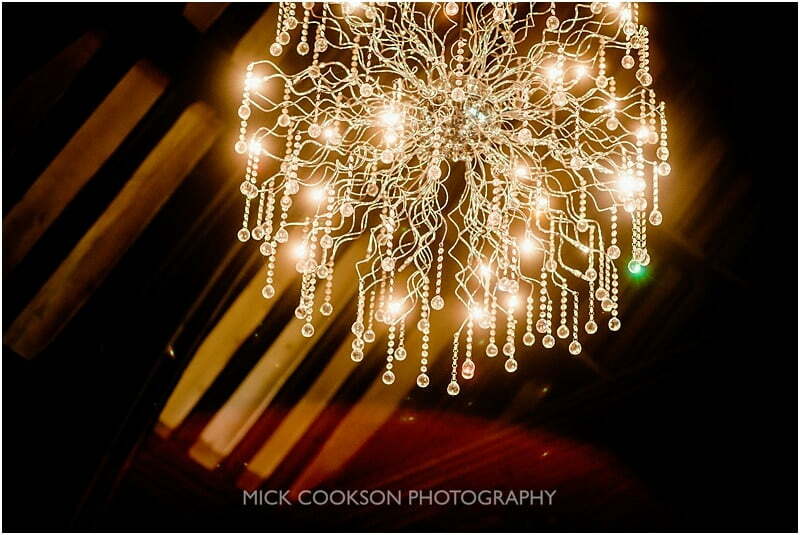 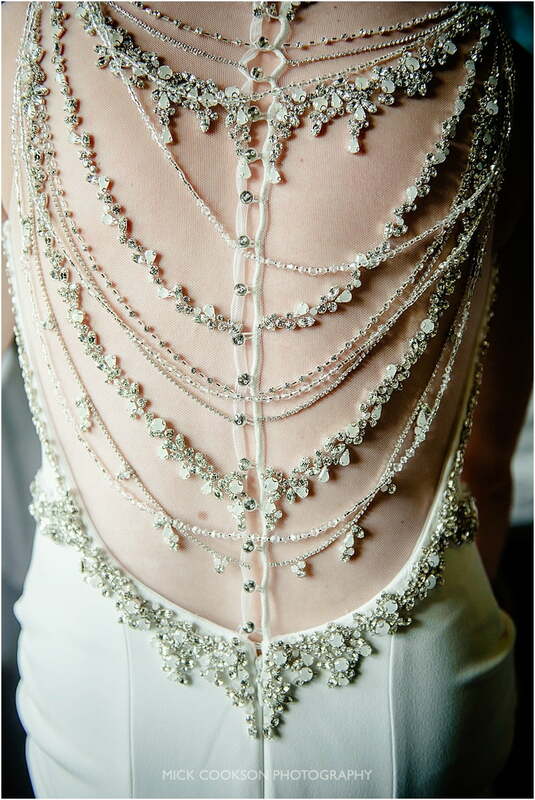 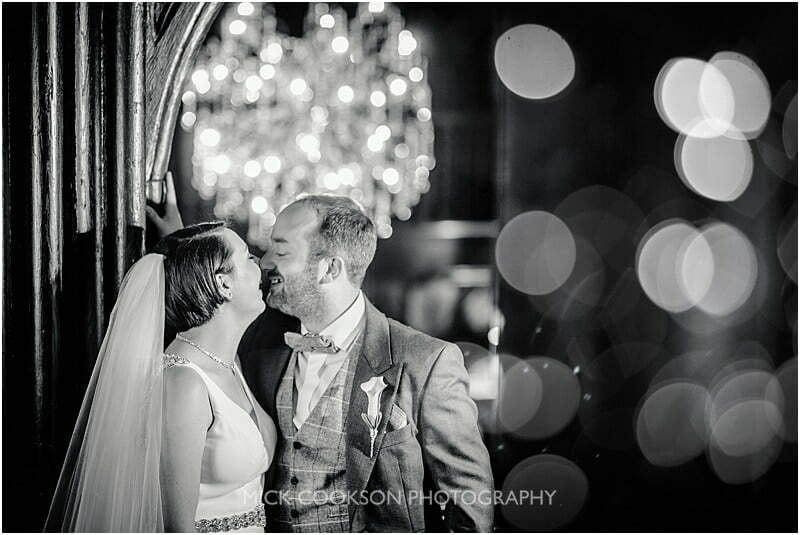 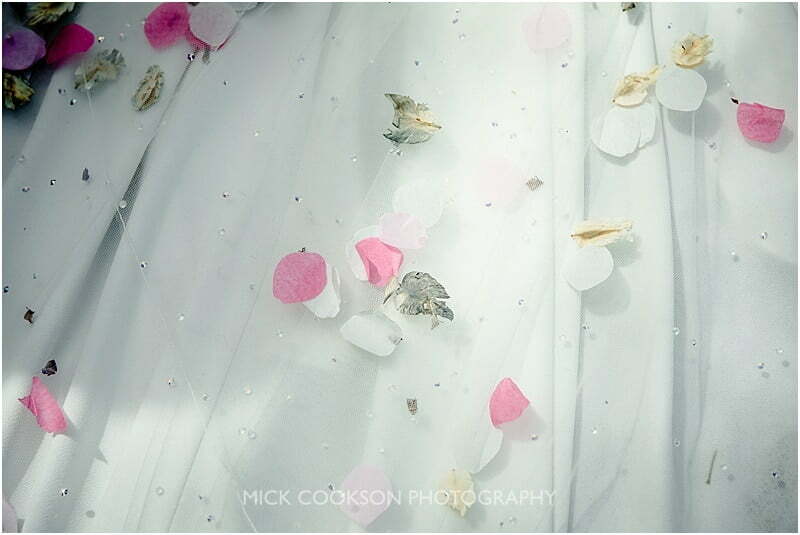 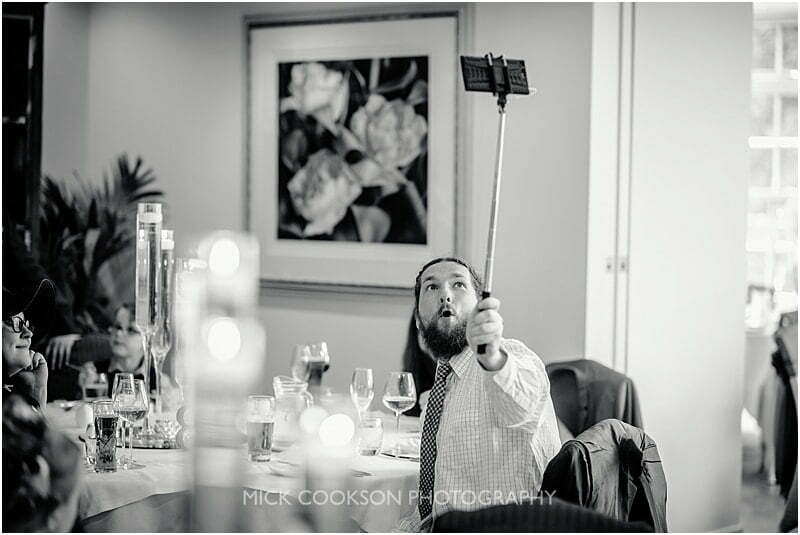 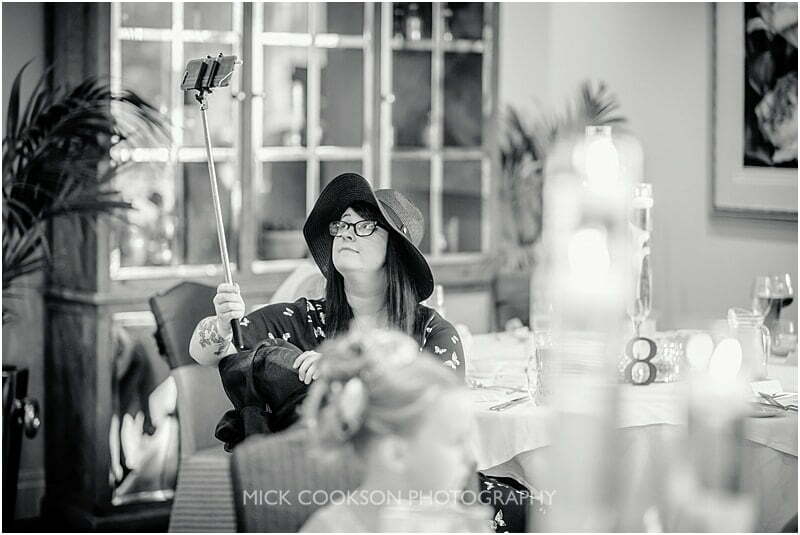 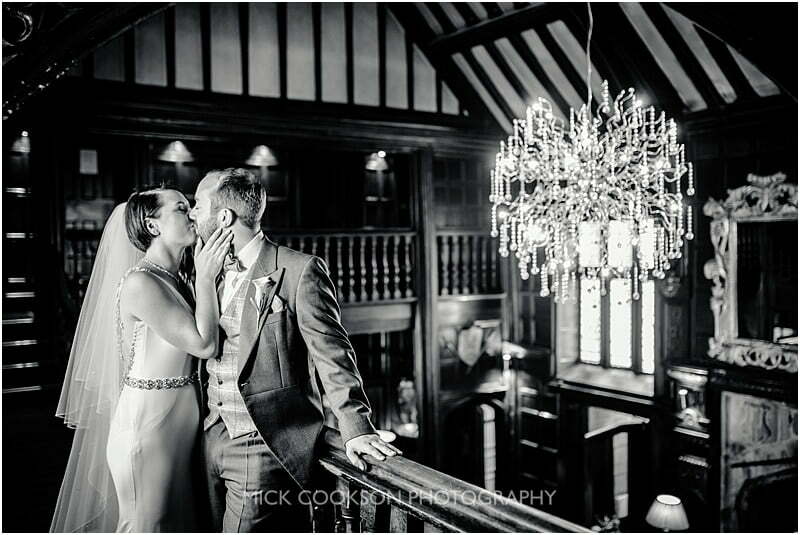 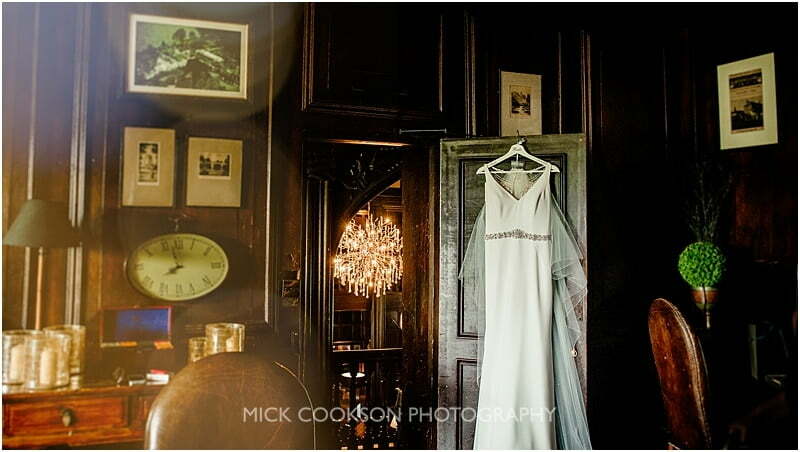 An icon in Lancashire wedding photography, every couple needs ‘The Chandelier Shot’ from their Mitton Hall Wedding. 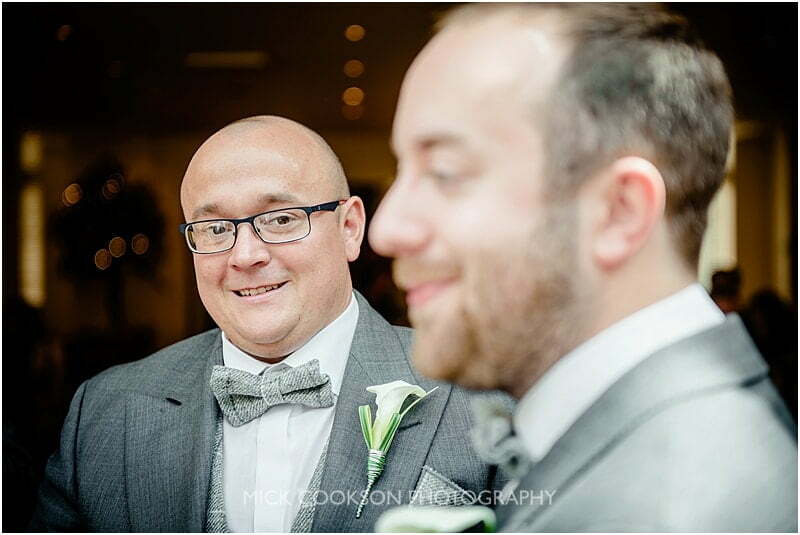 It was great working alongside Ryan from DFC Lancashire. 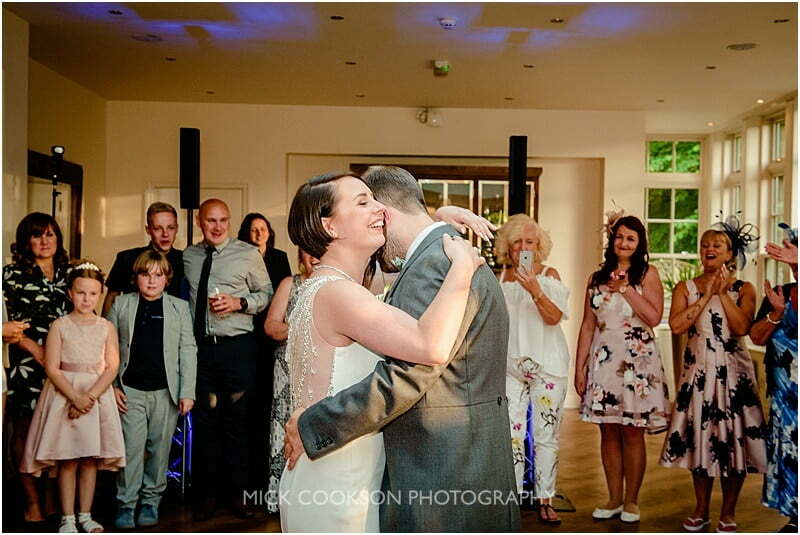 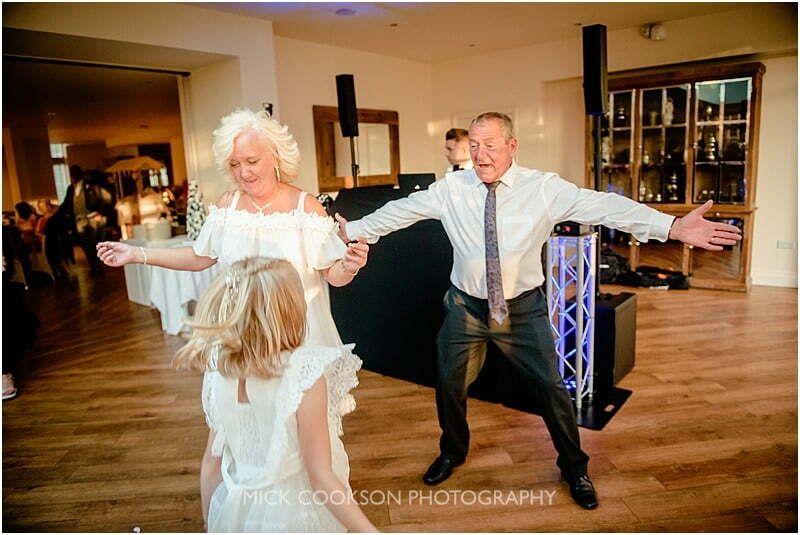 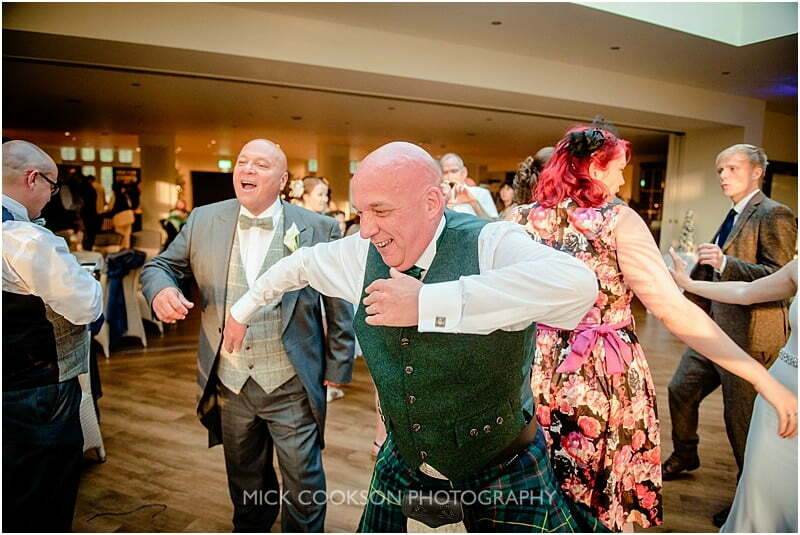 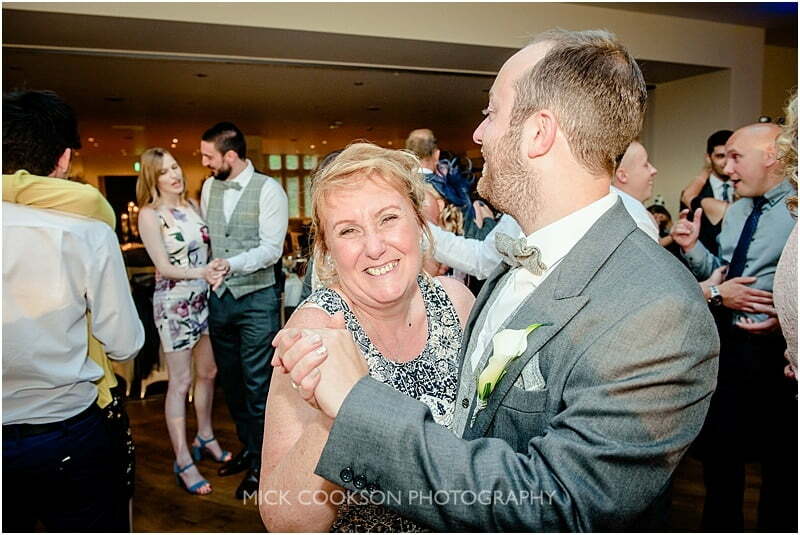 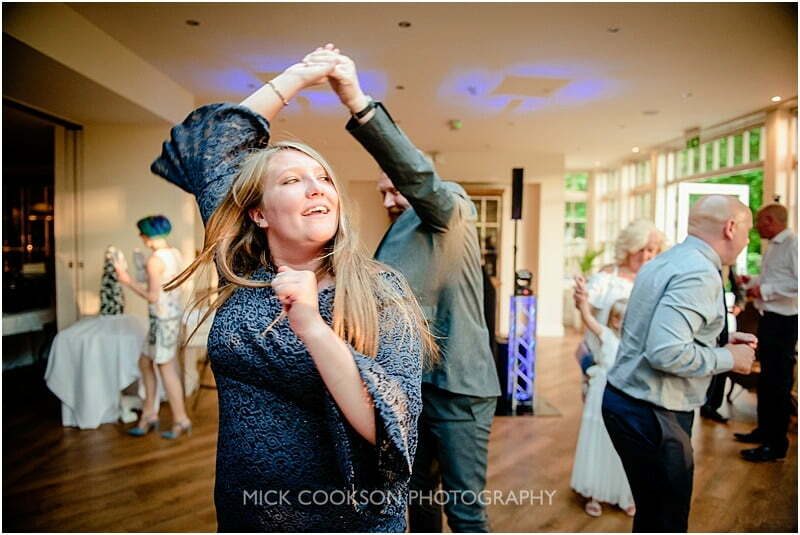 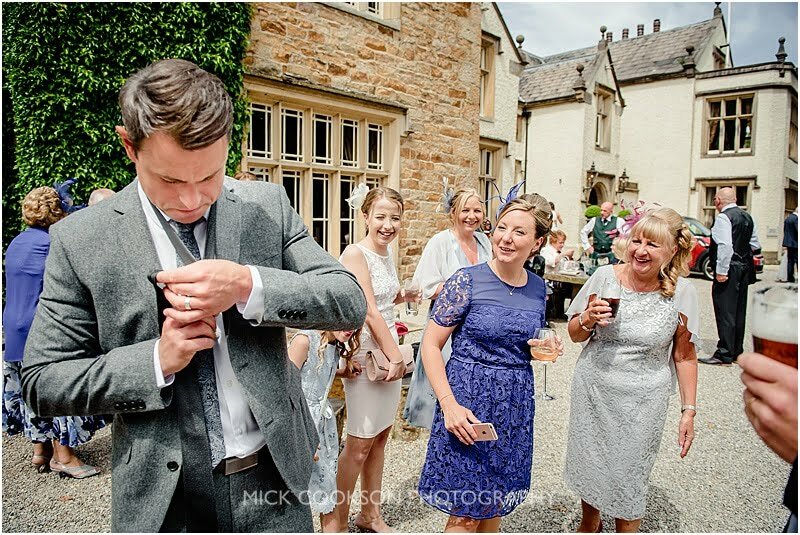 Always the chirpy professional, Ryan got that dancefloor full in no time…and kept it full well after I had finished for the day….